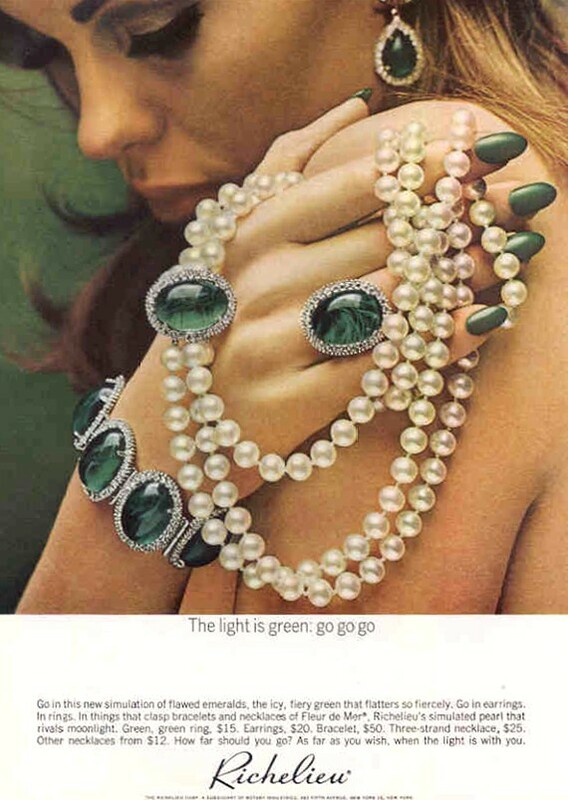 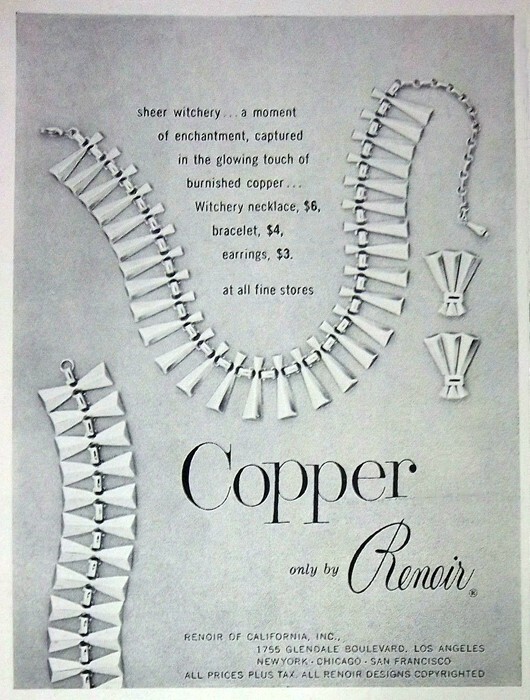 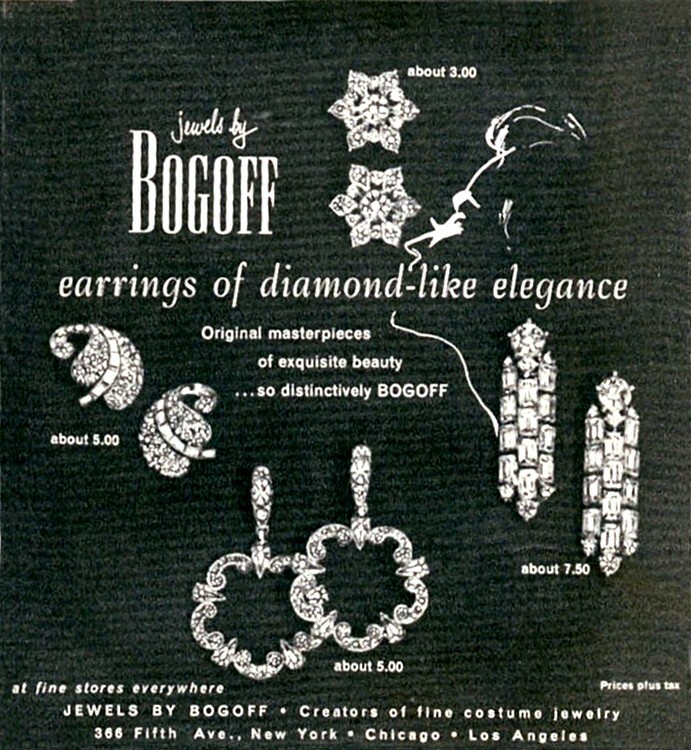 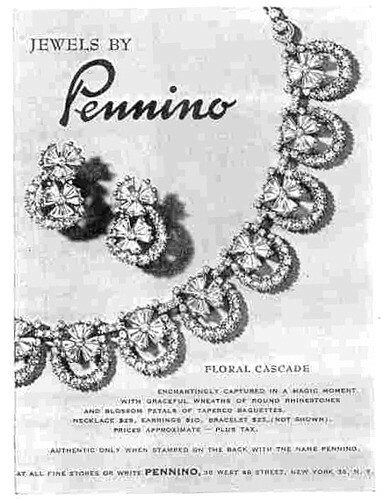 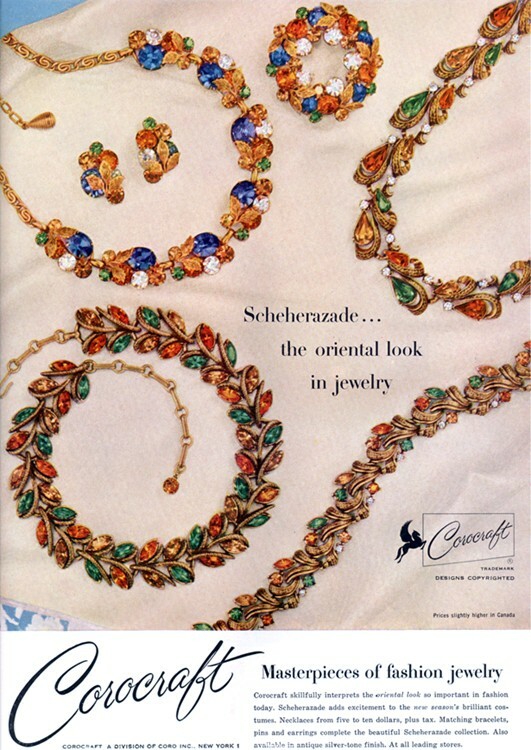 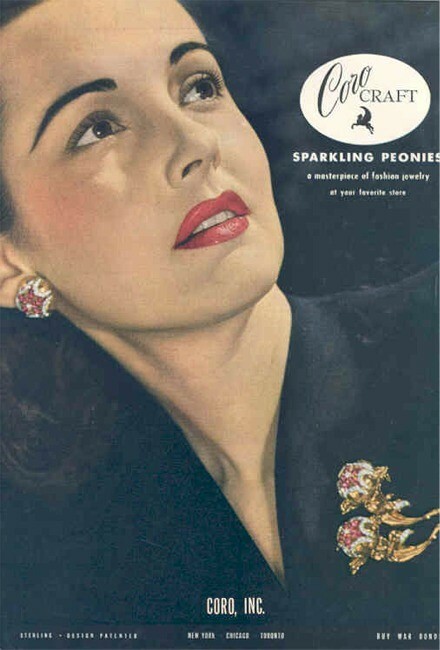 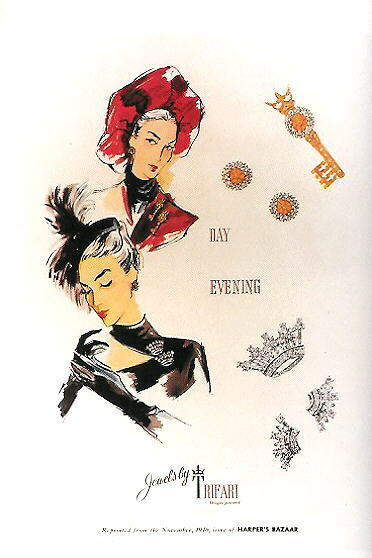 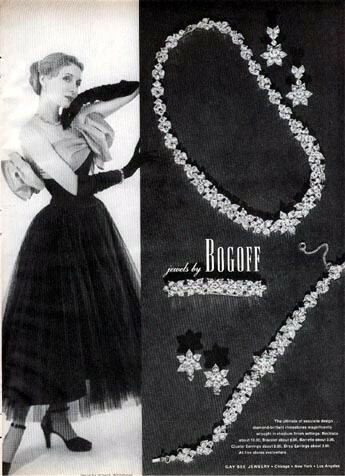 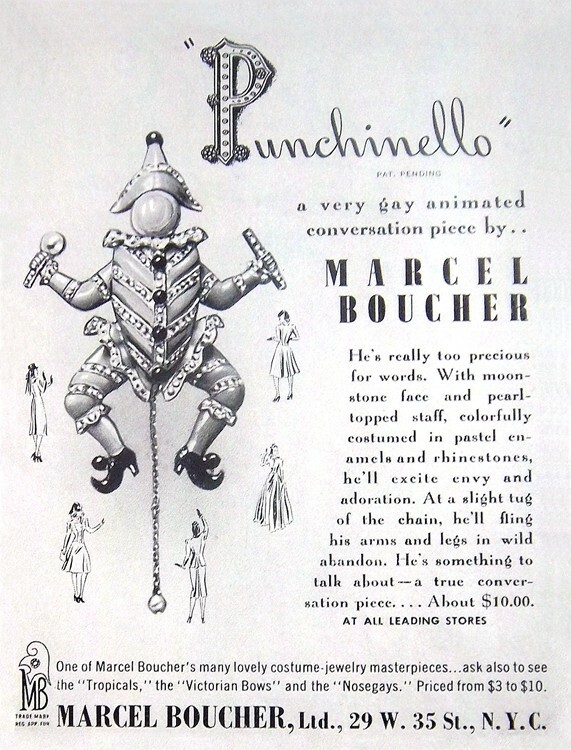 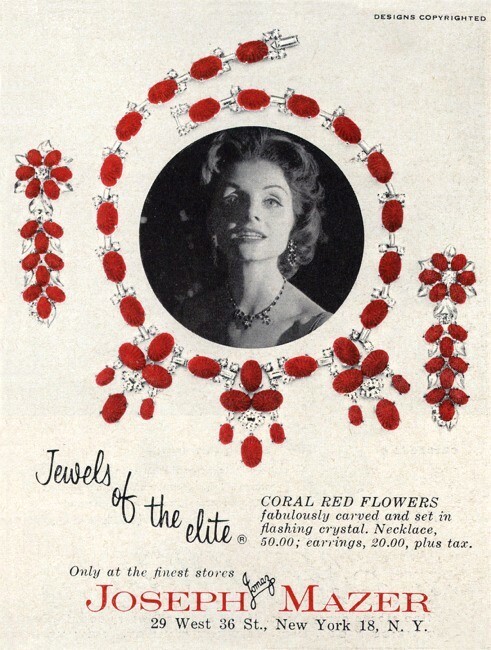 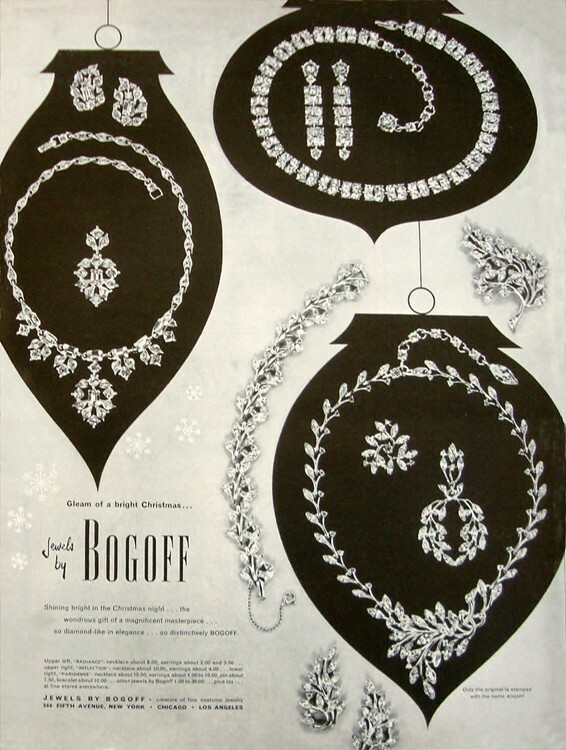 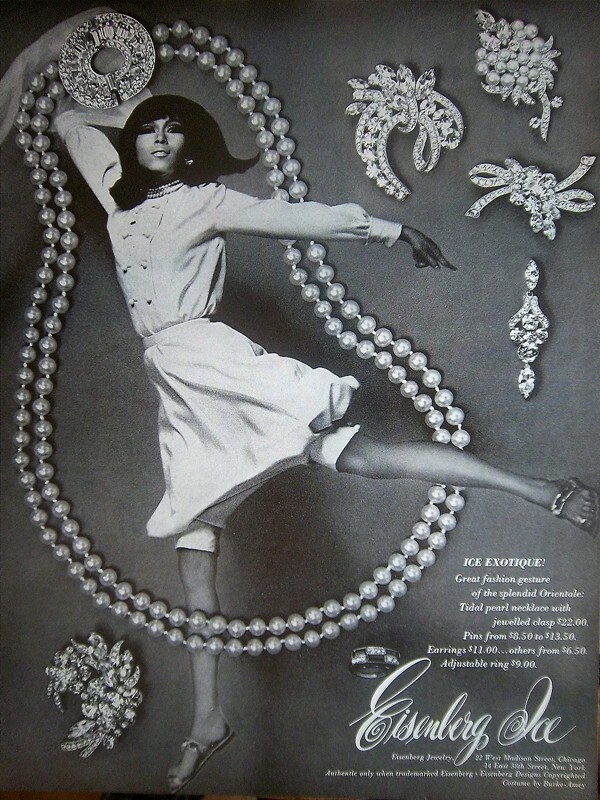 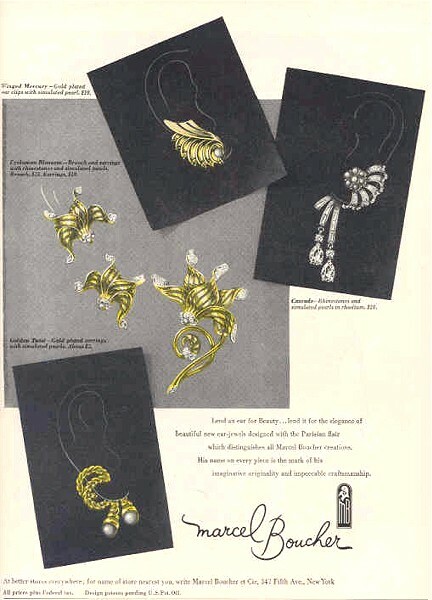 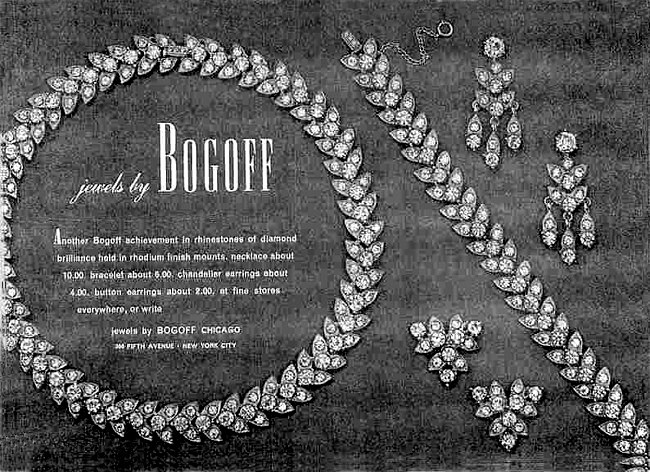 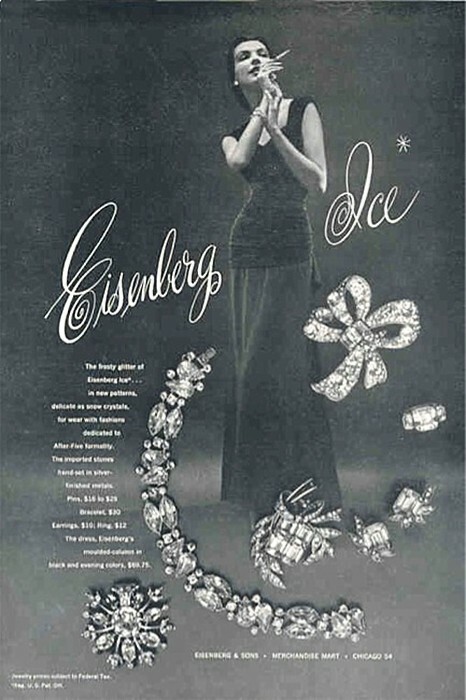 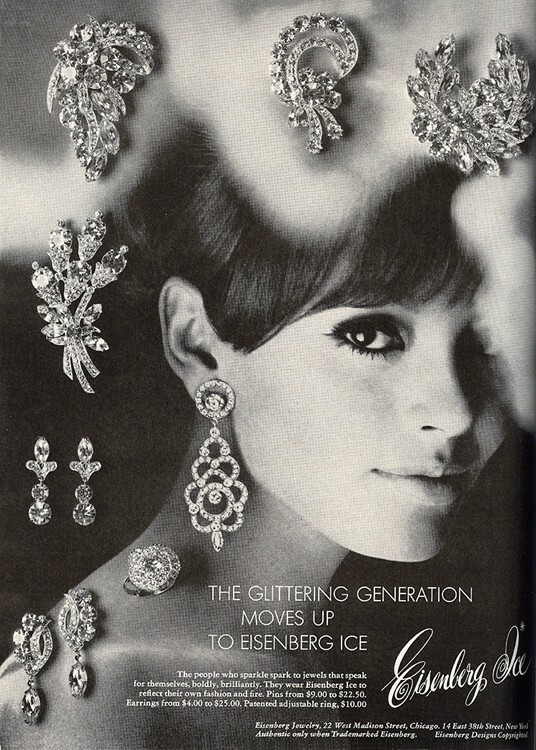 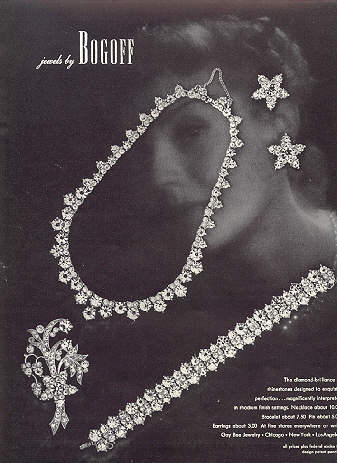 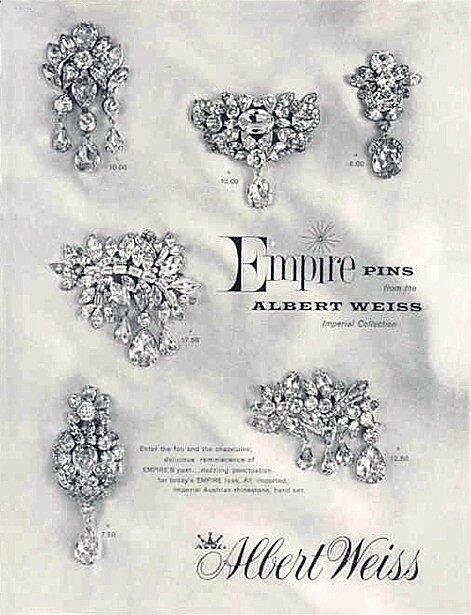 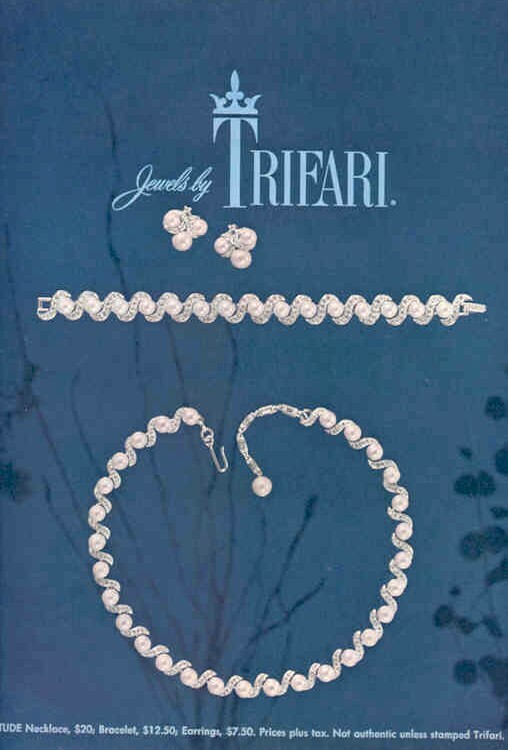 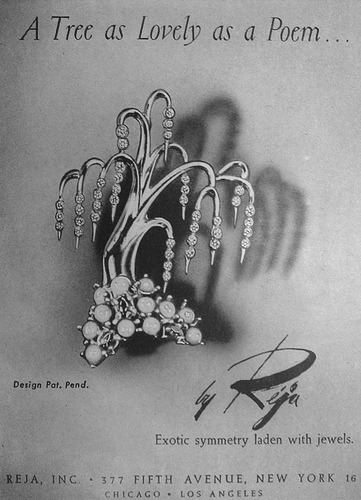 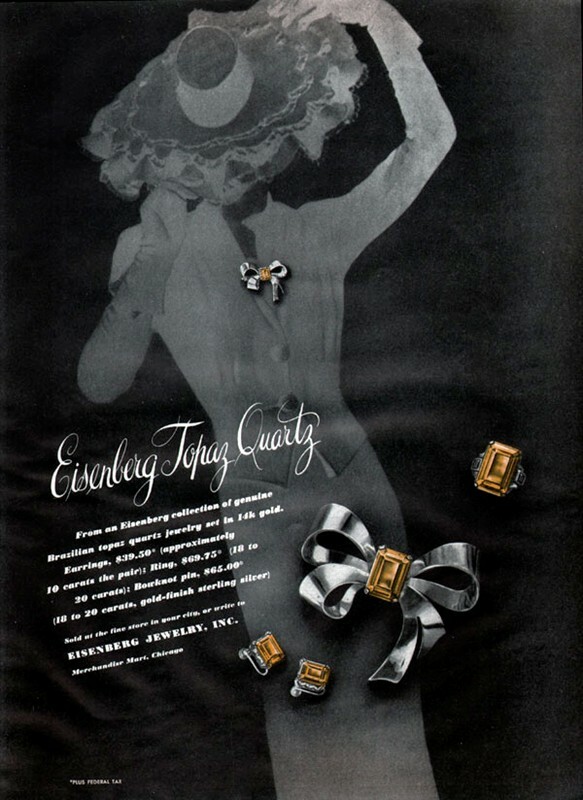 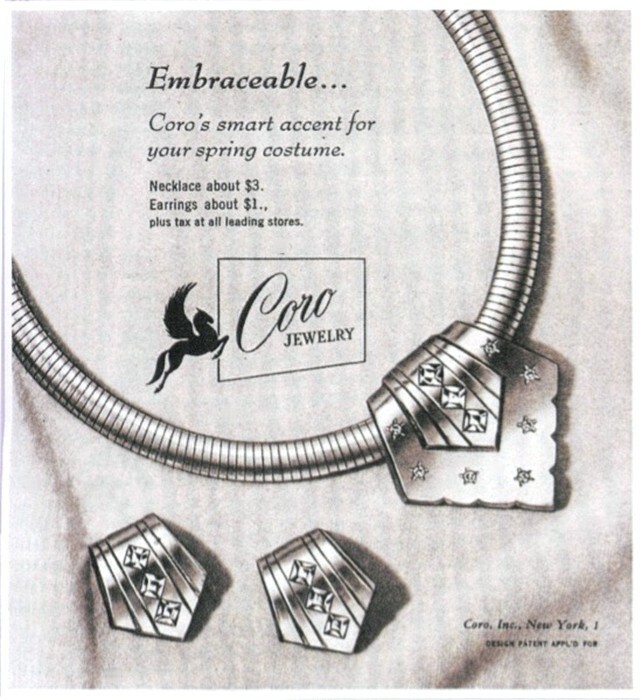 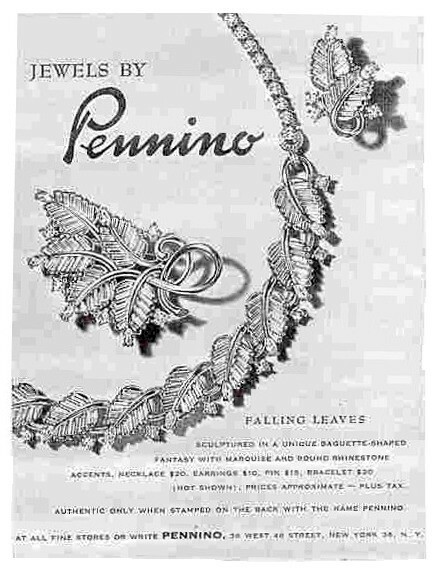 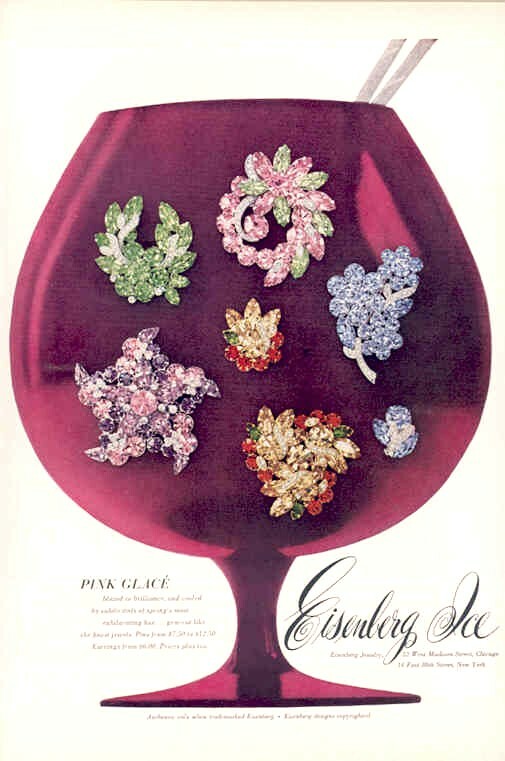 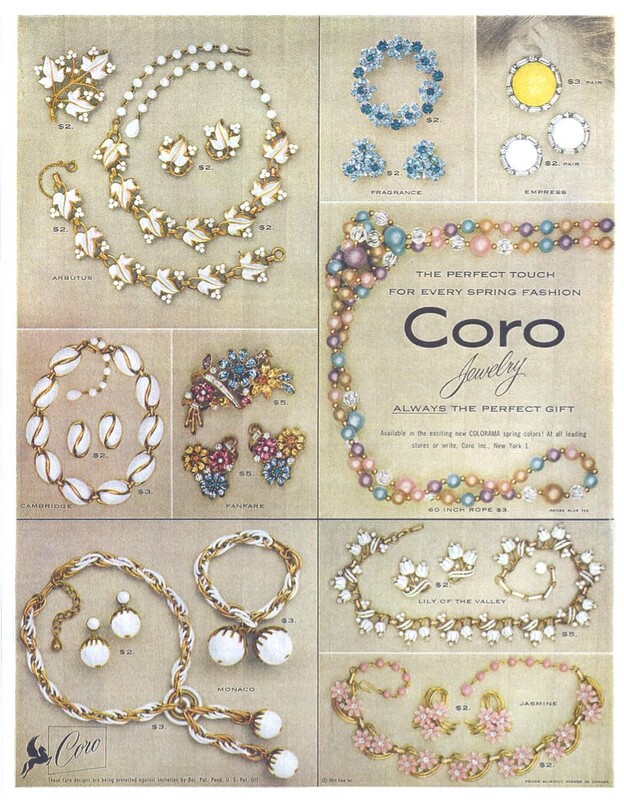 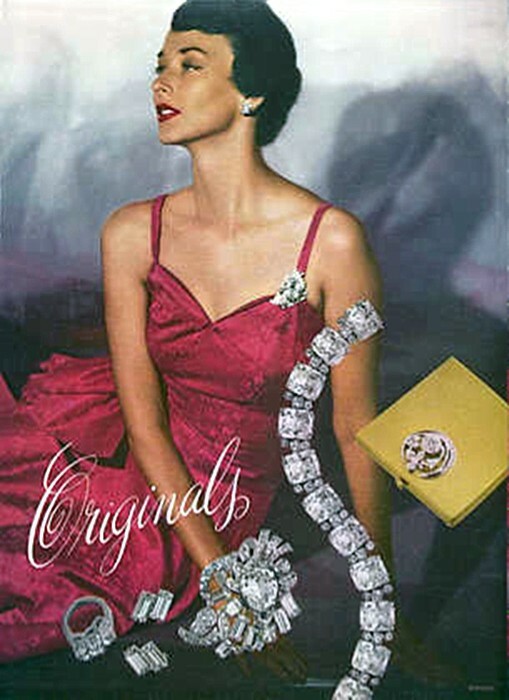 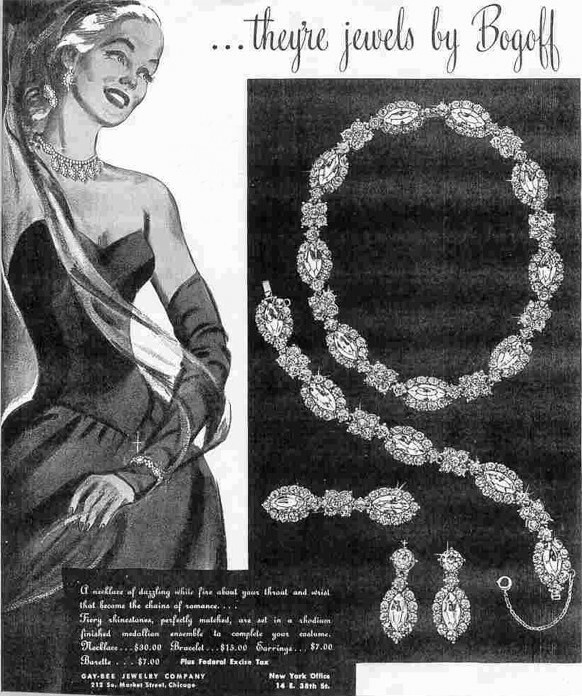 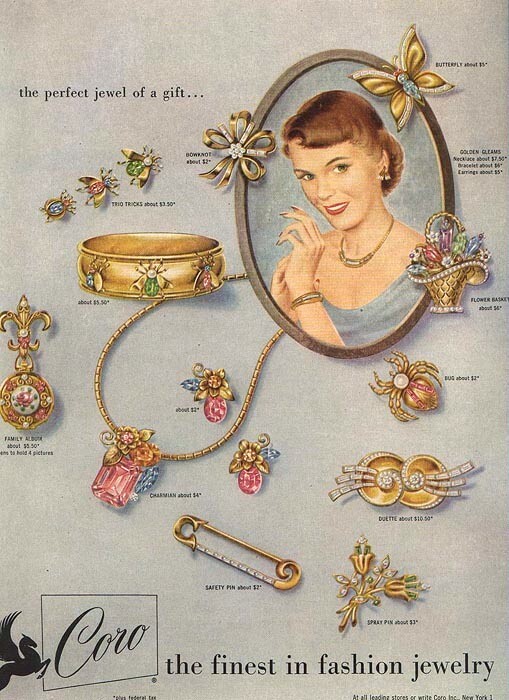 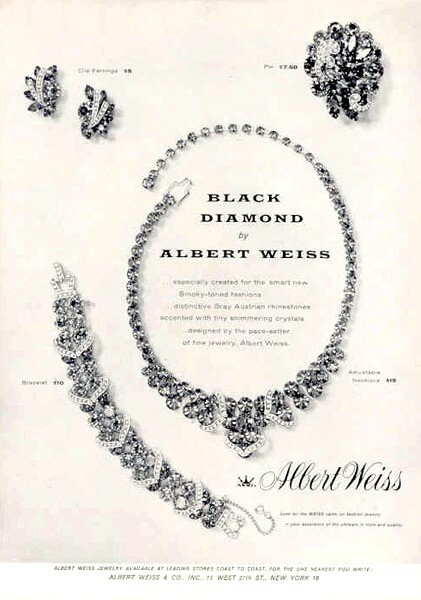 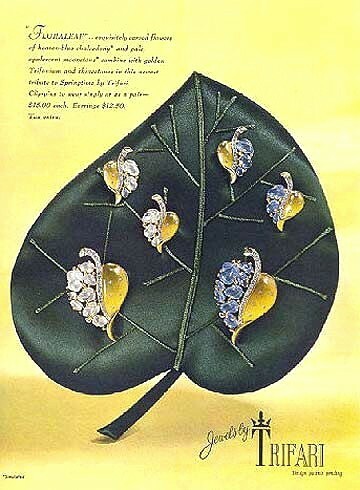 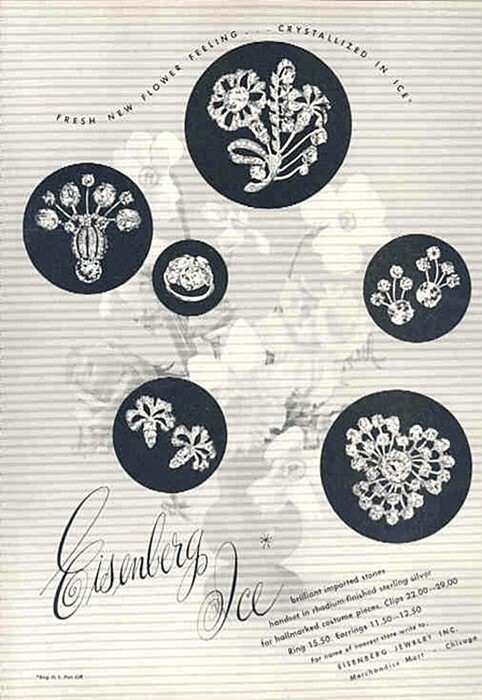 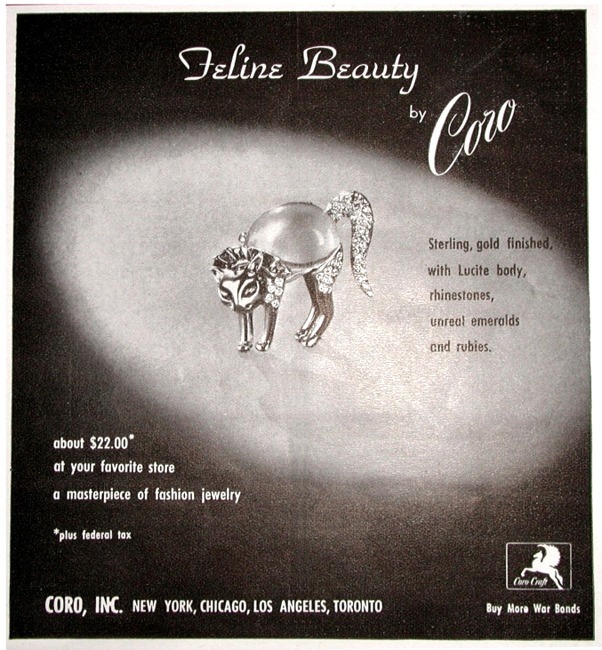 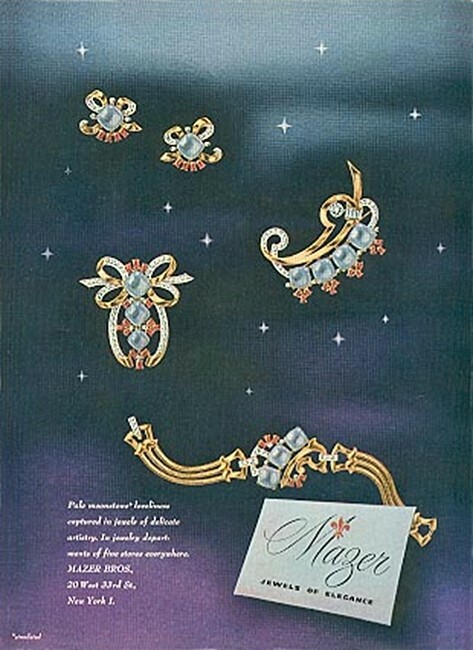 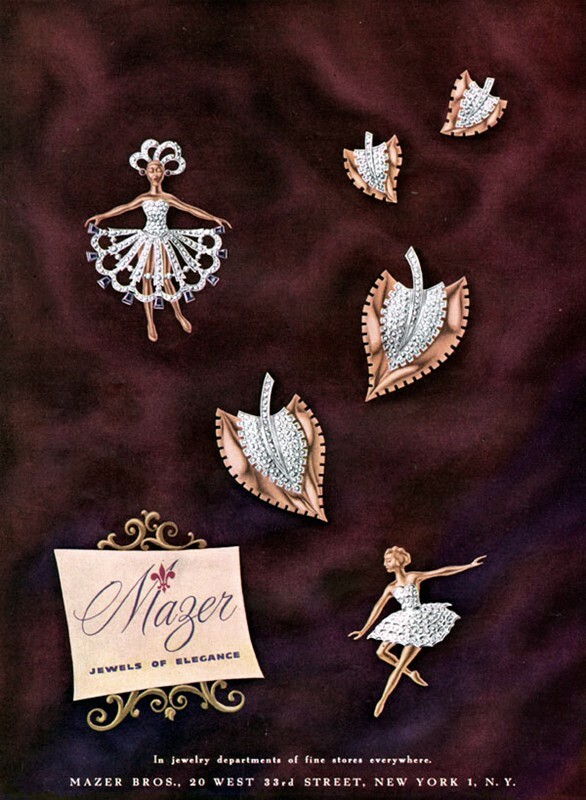 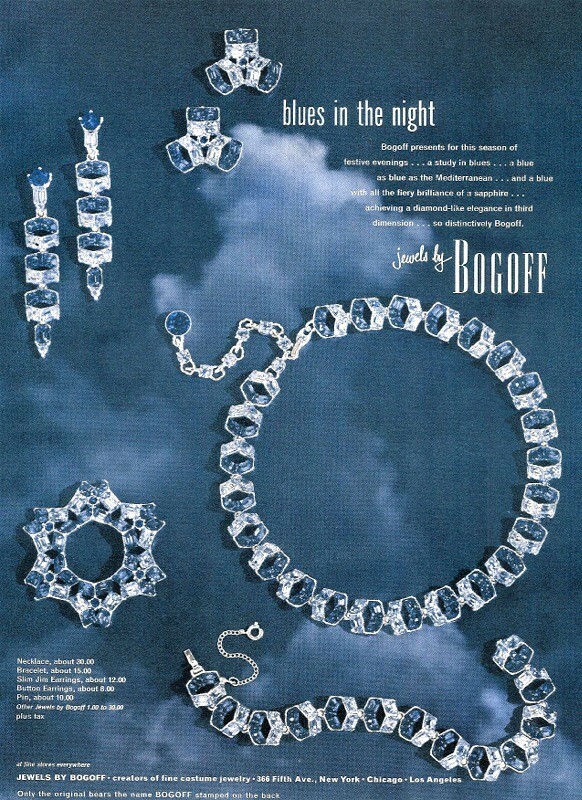 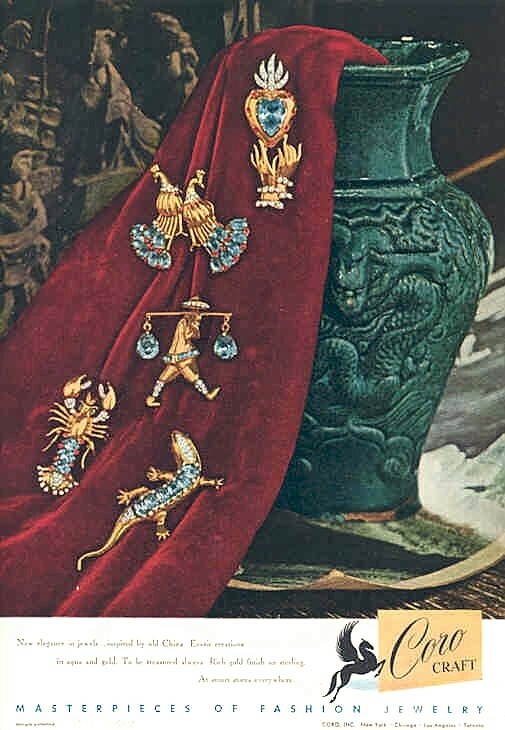 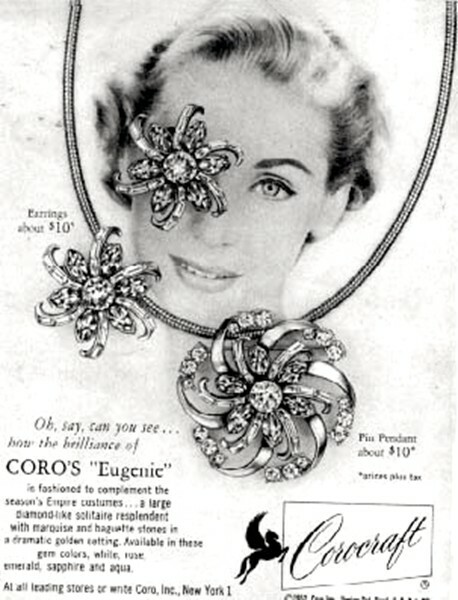 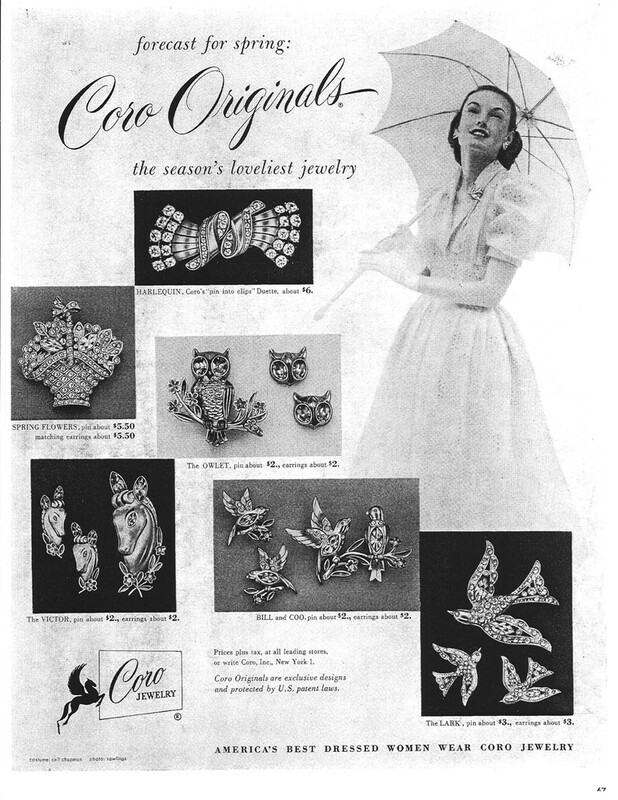 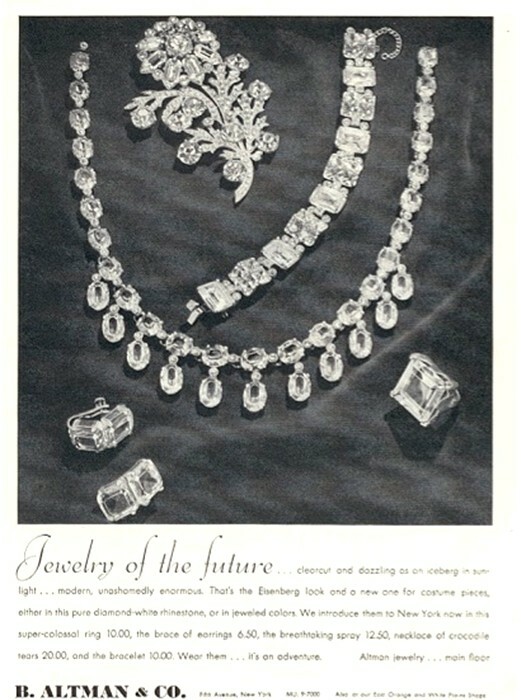 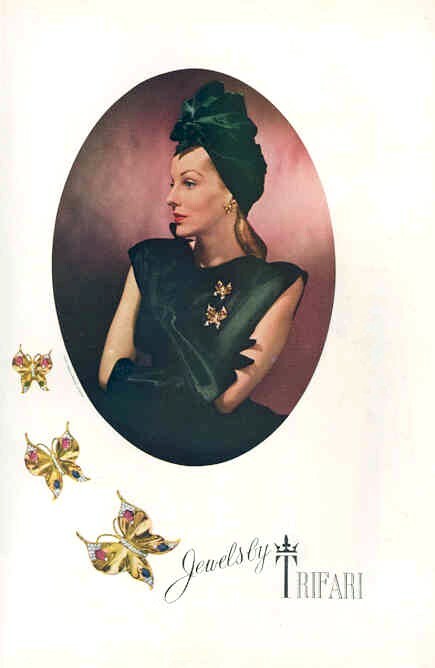 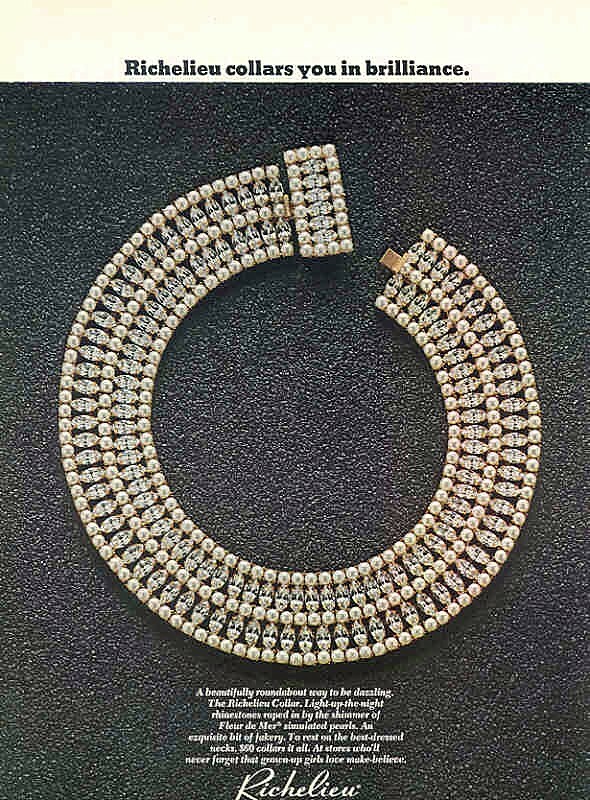 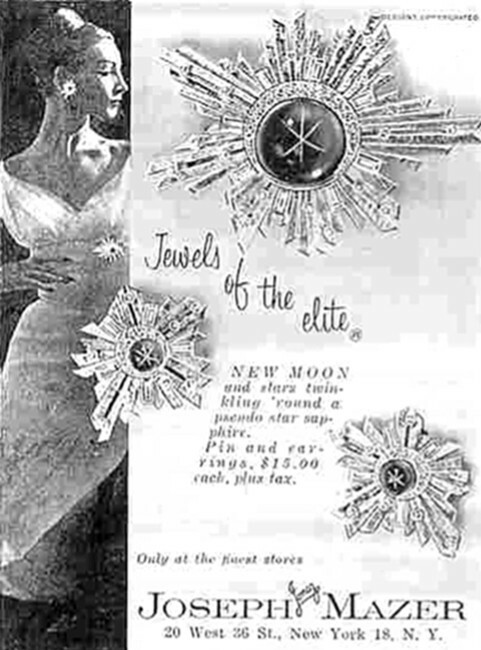 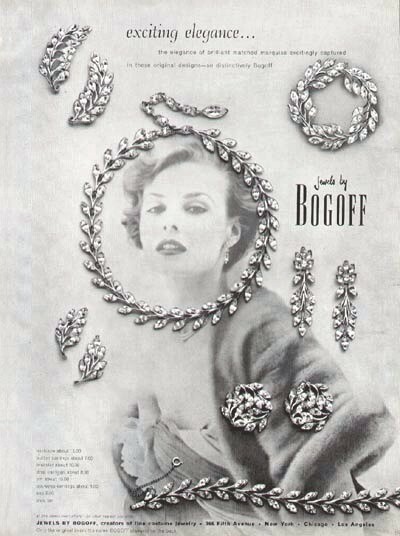 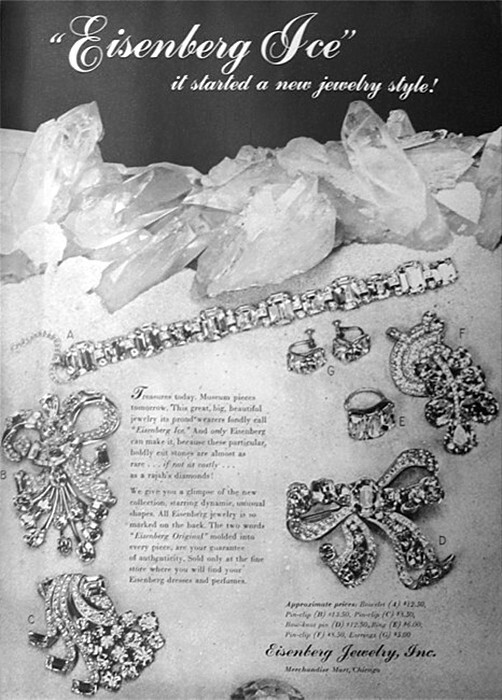 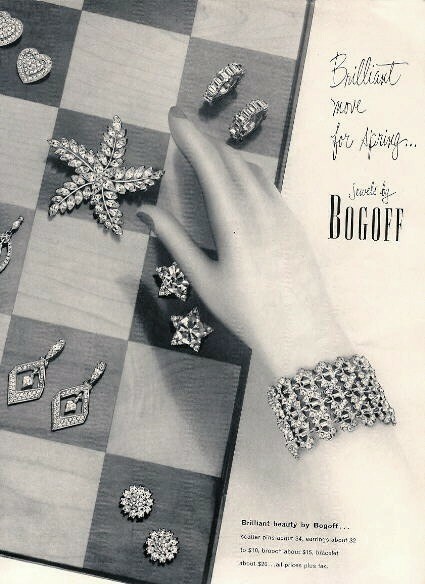 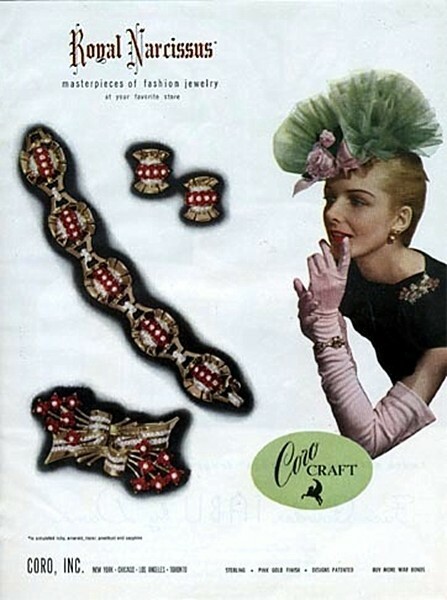 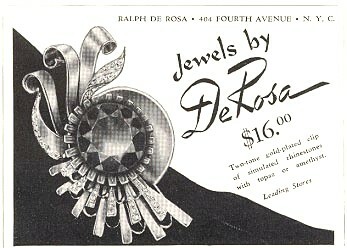 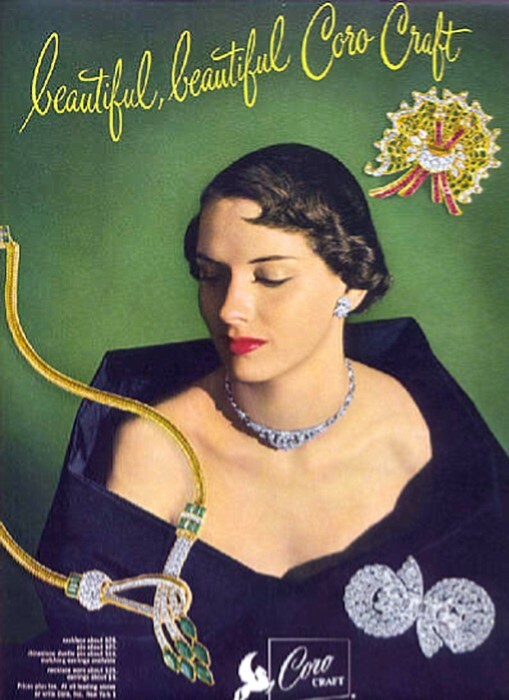 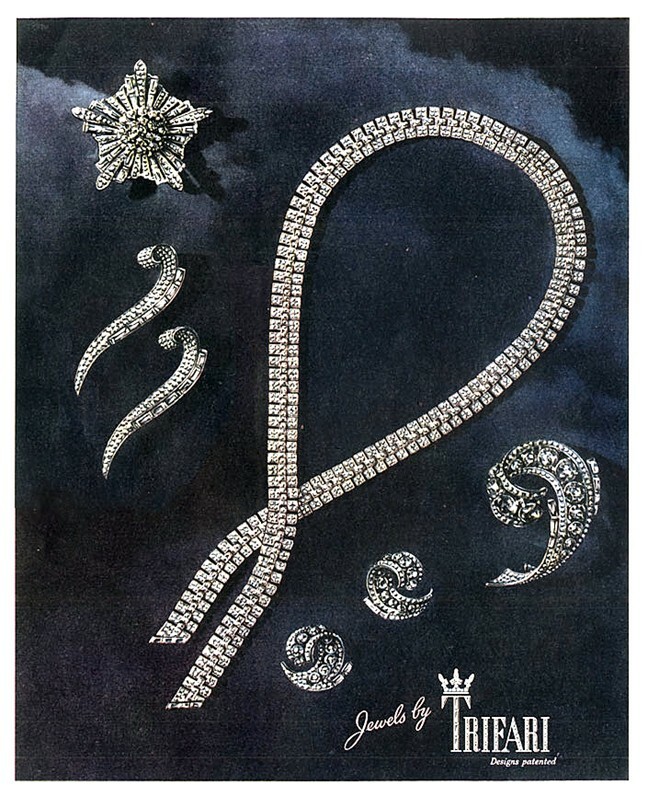 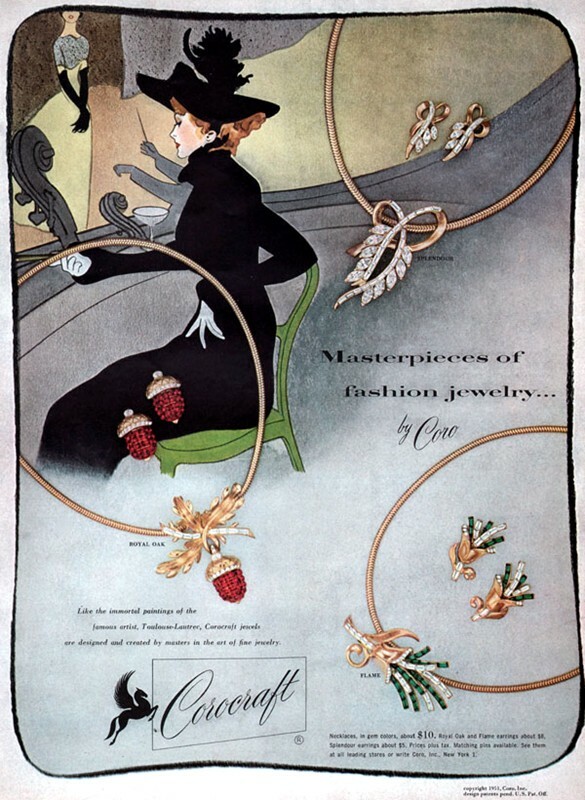 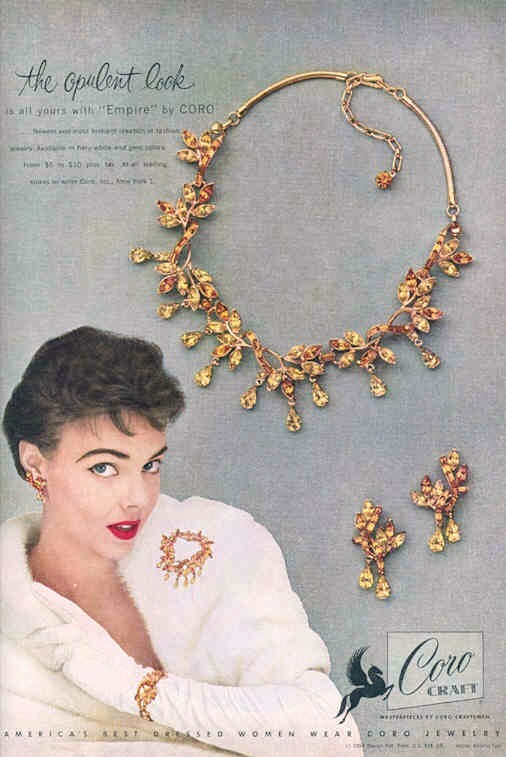 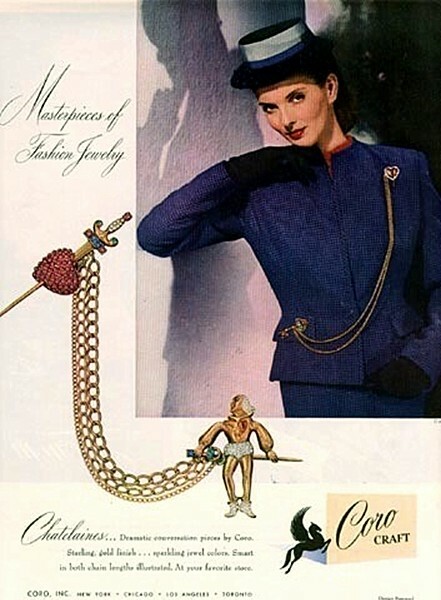 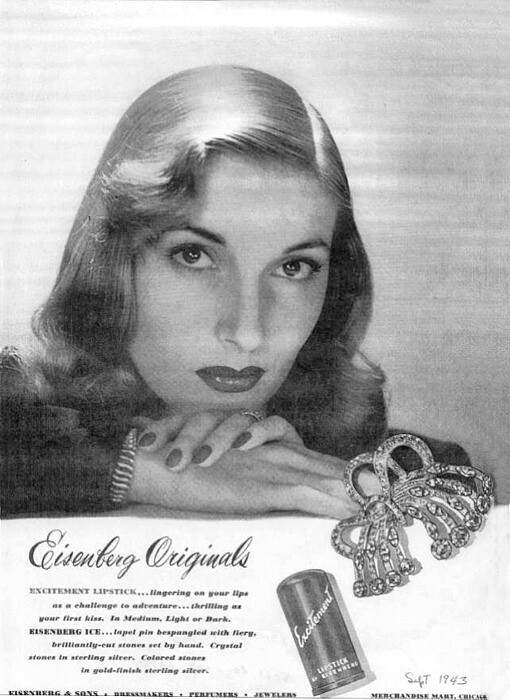 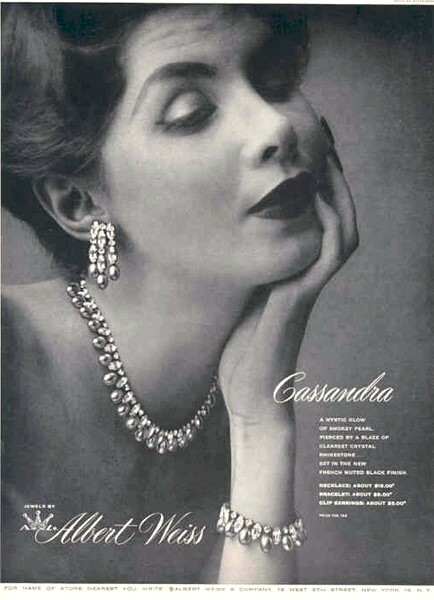 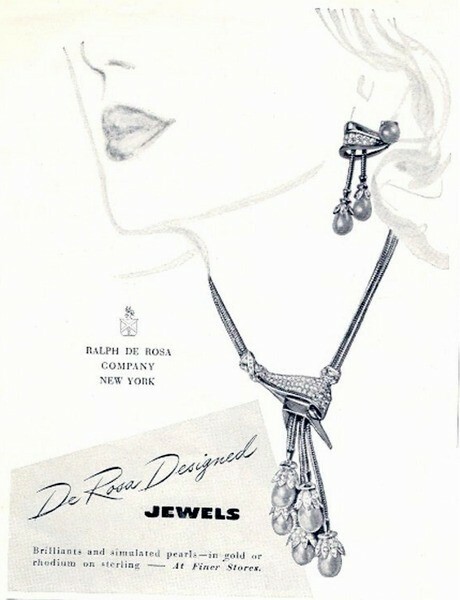 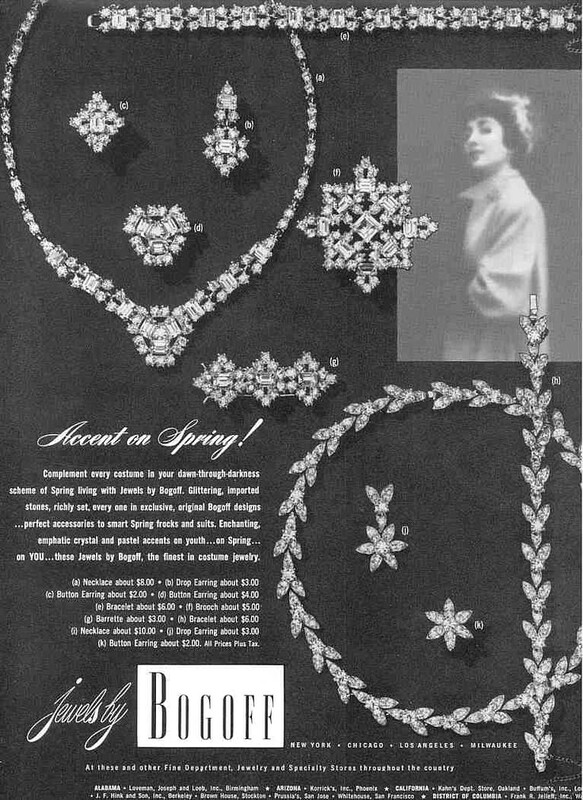 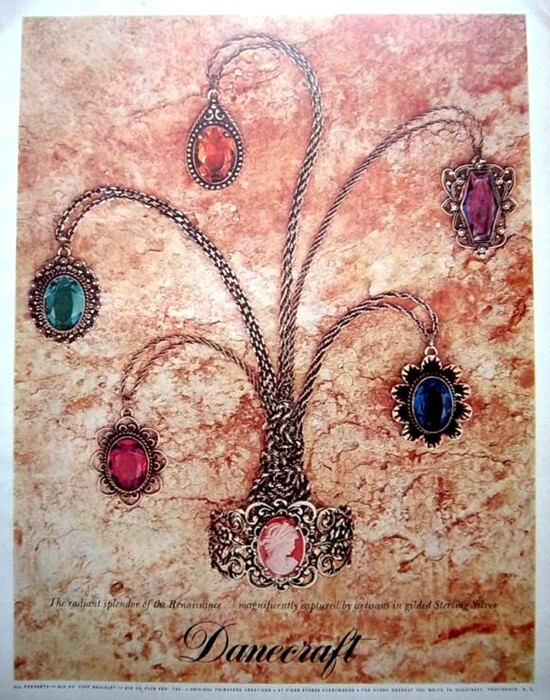 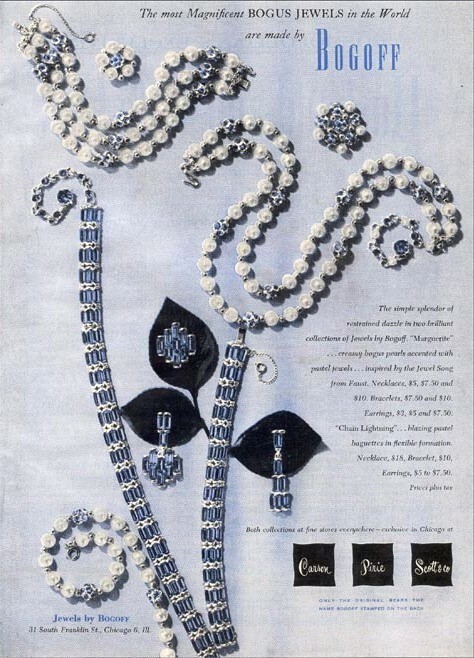 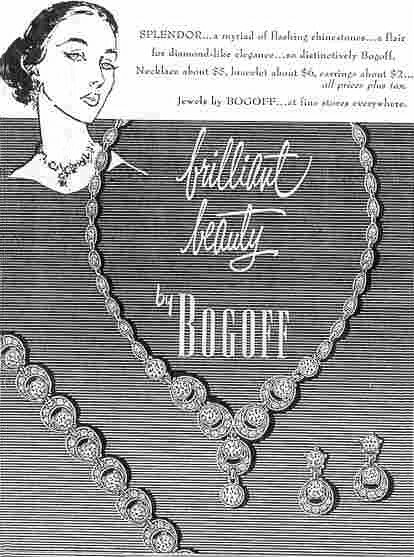 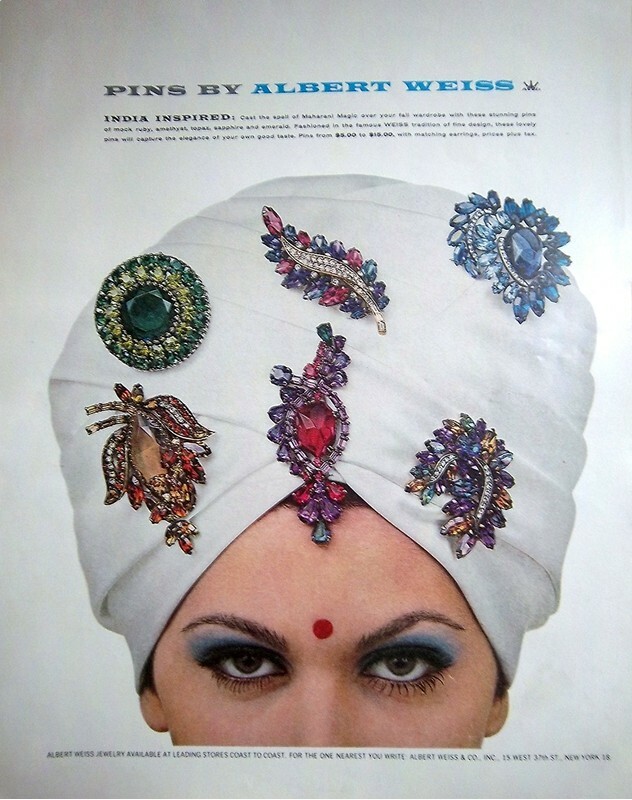 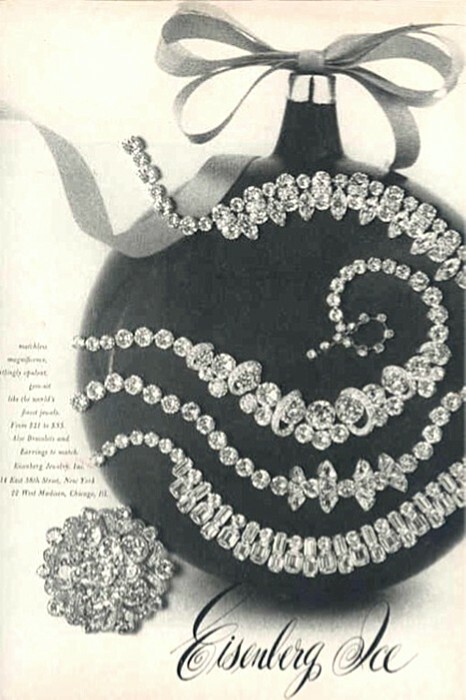 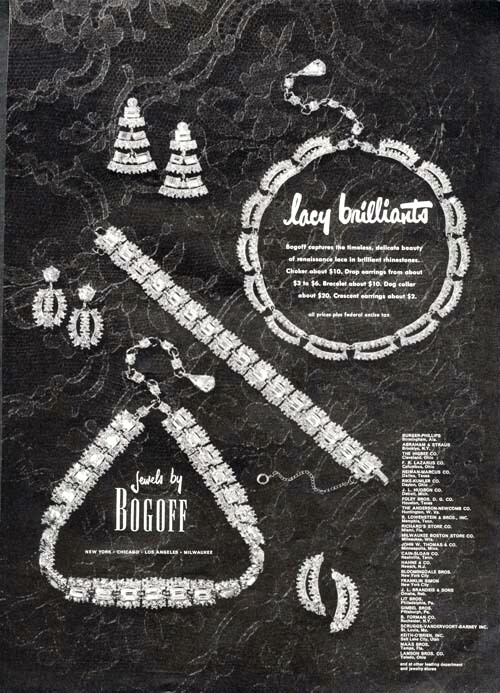 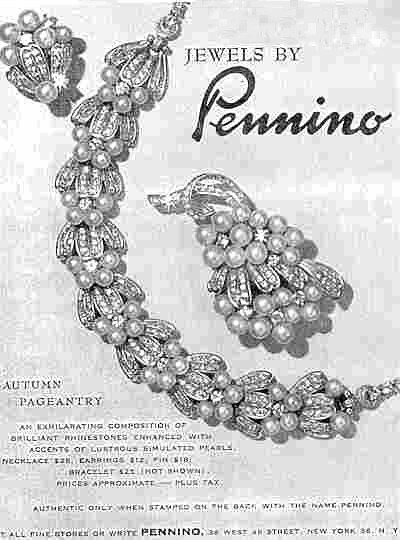 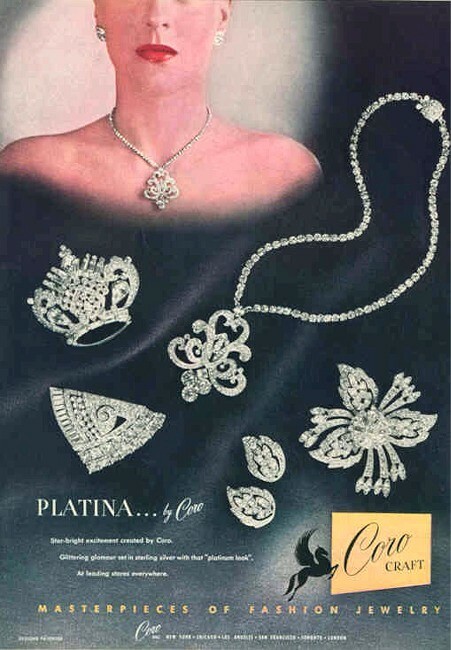 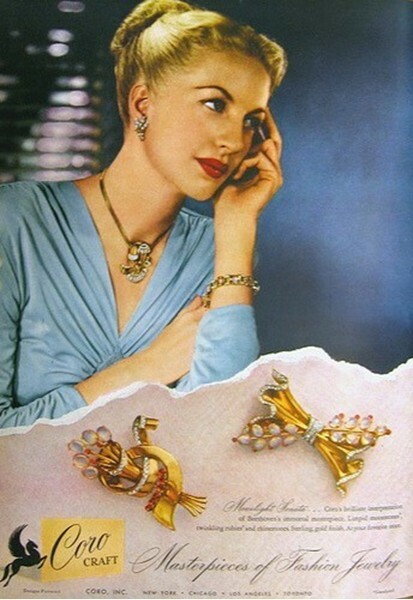 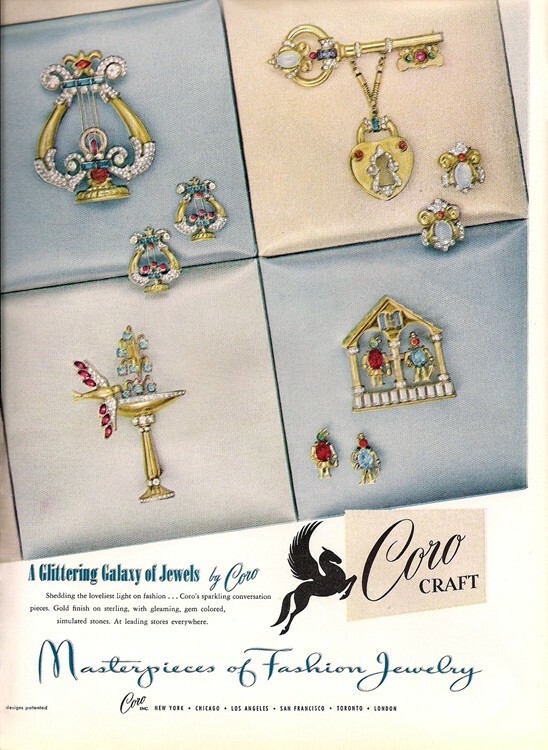 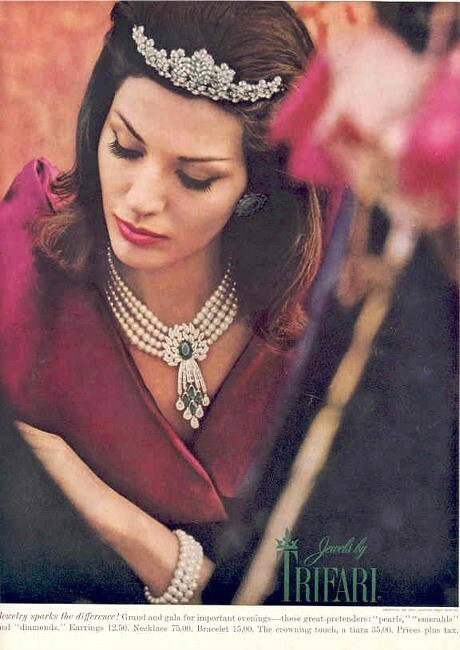 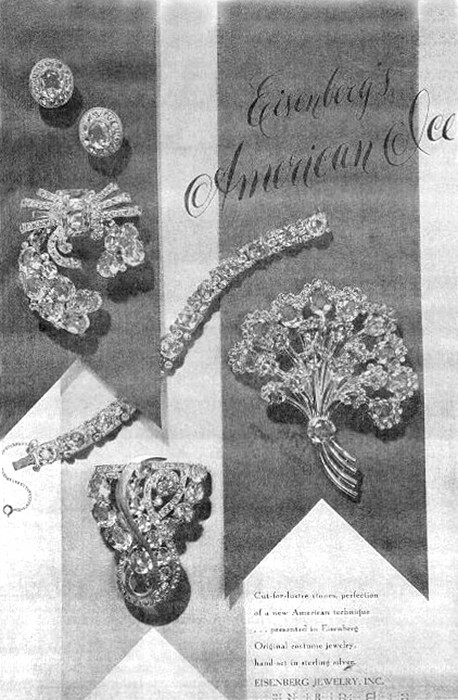 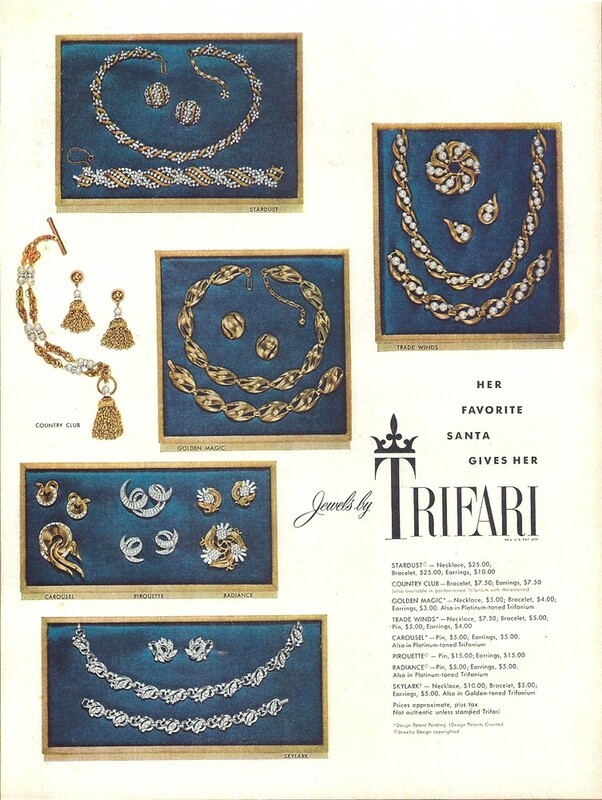 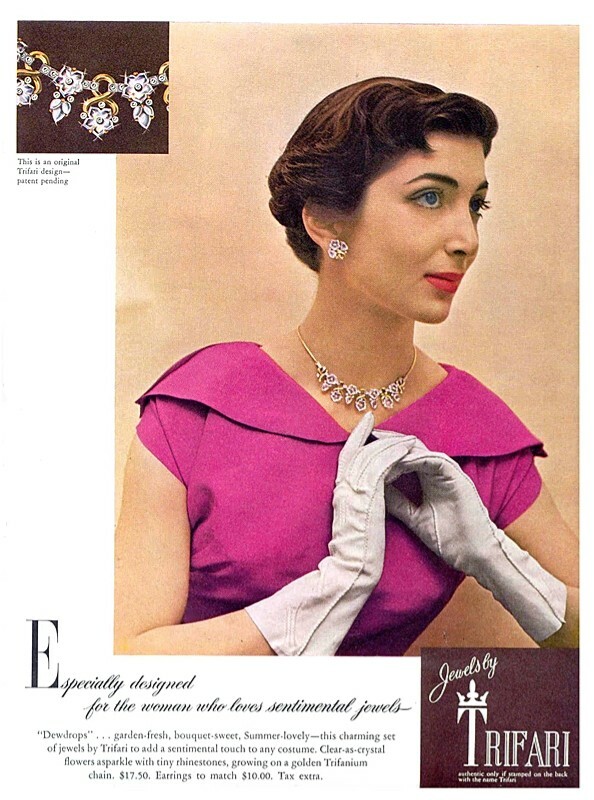 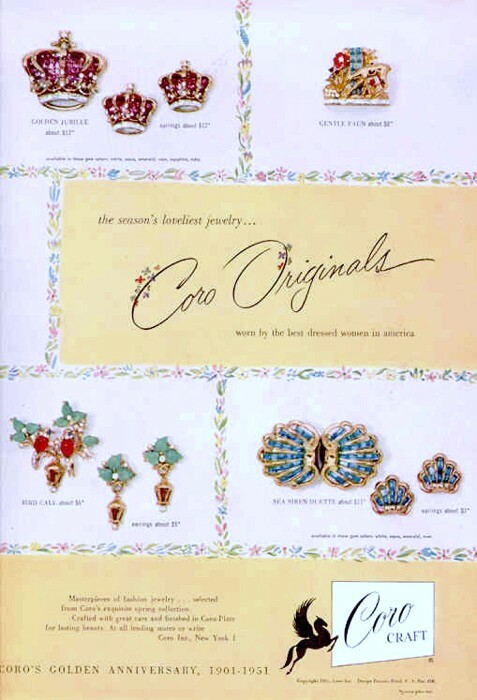 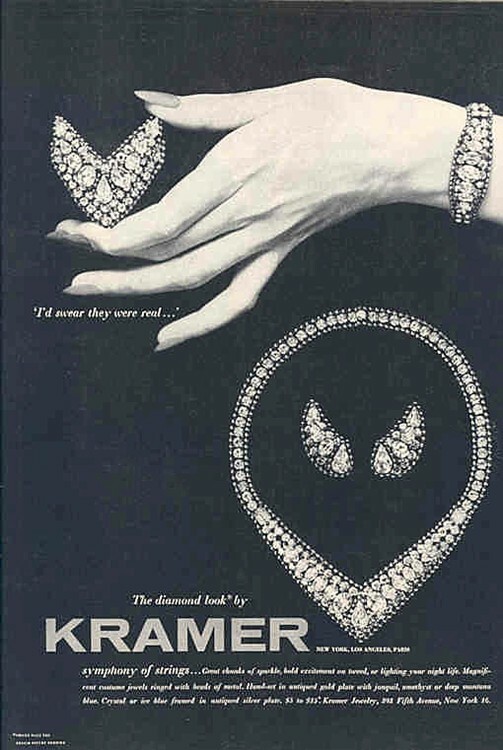 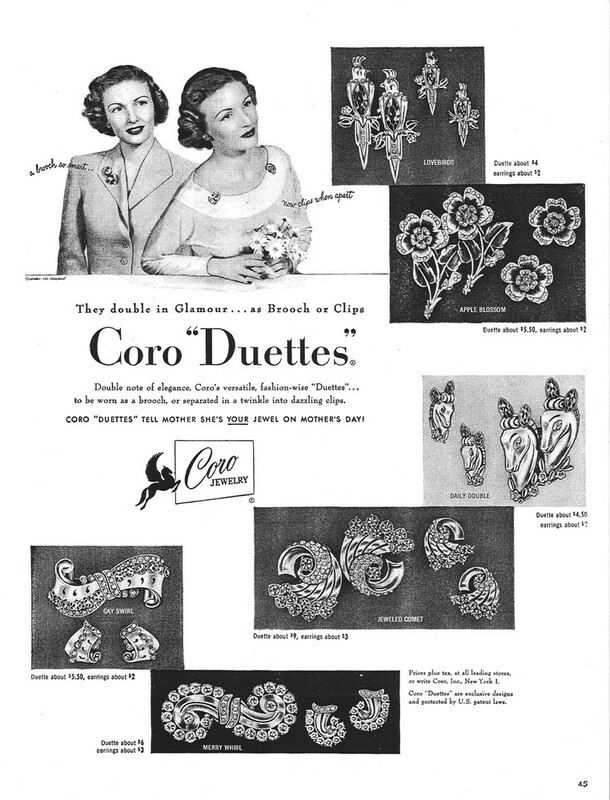 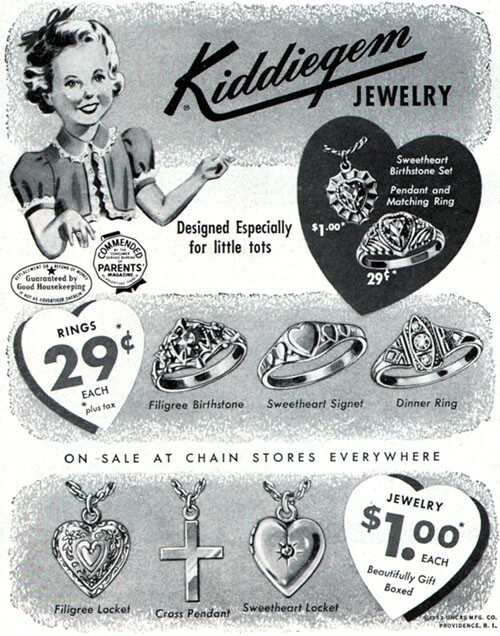 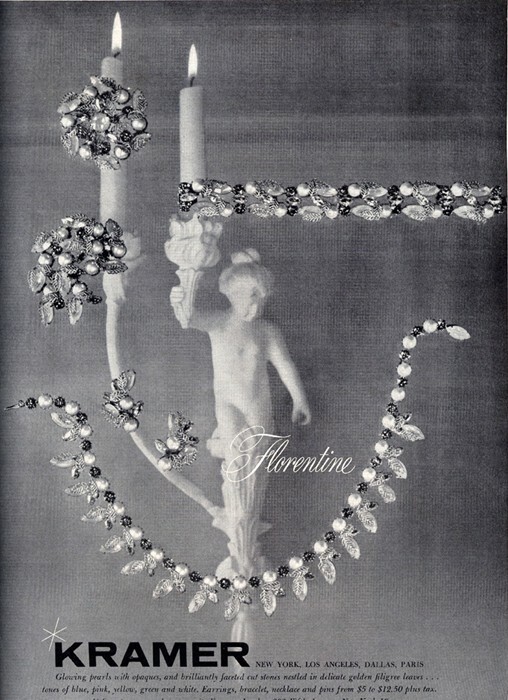 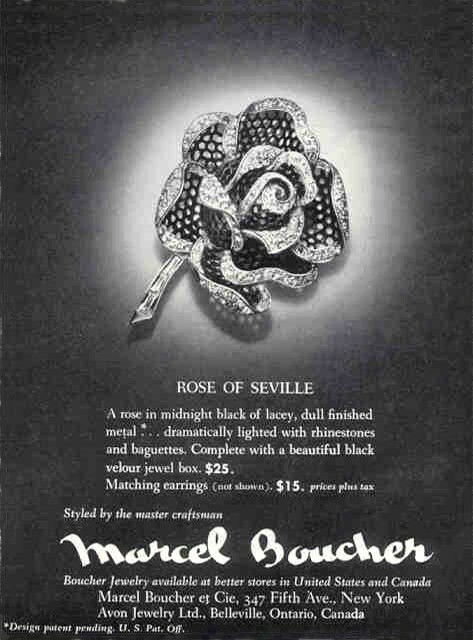 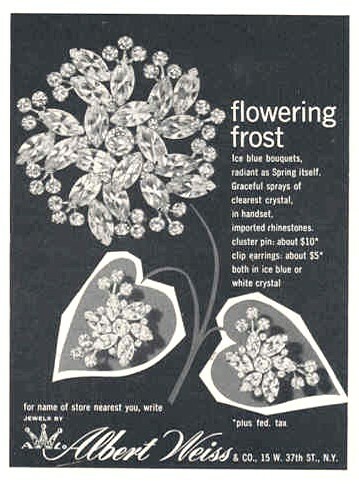 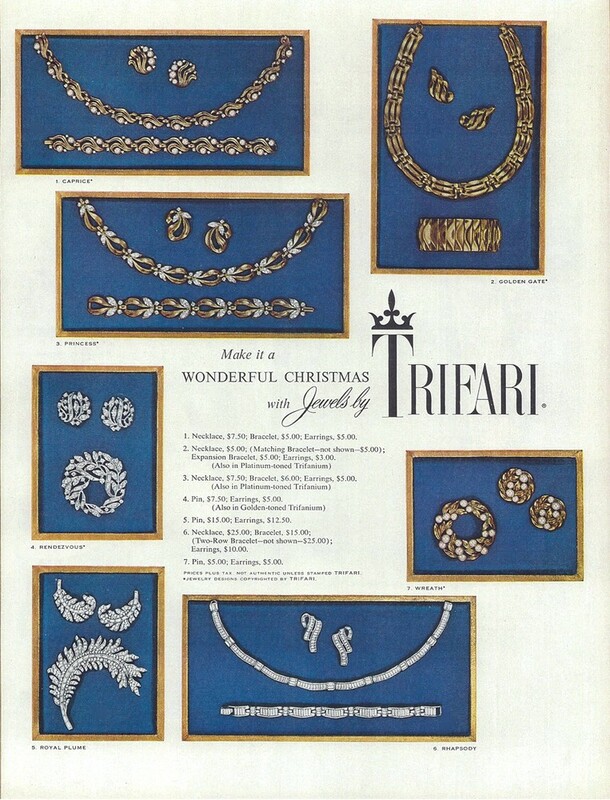 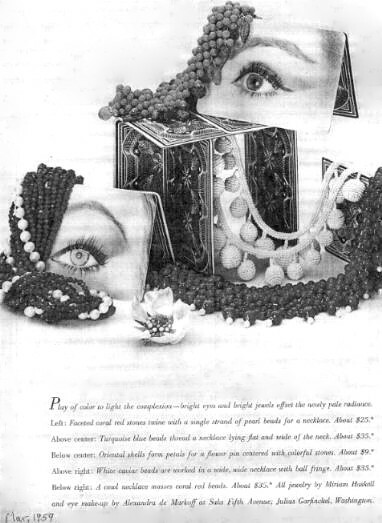 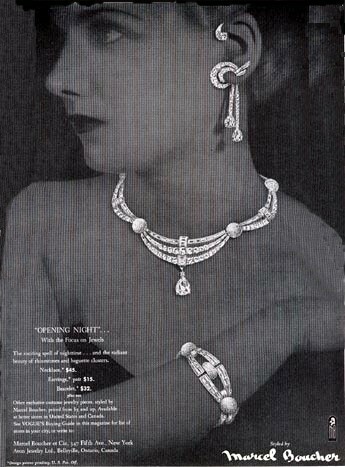 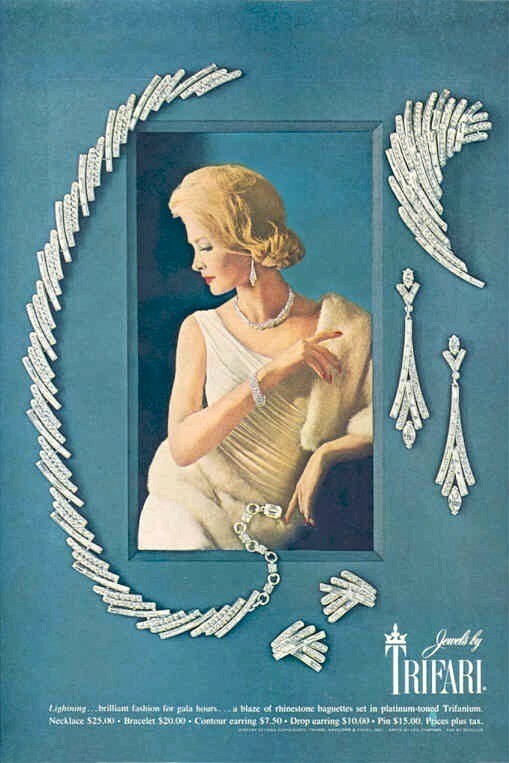 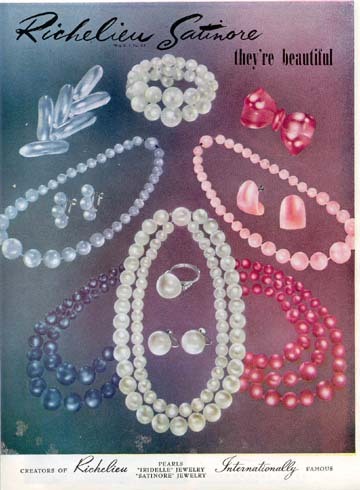 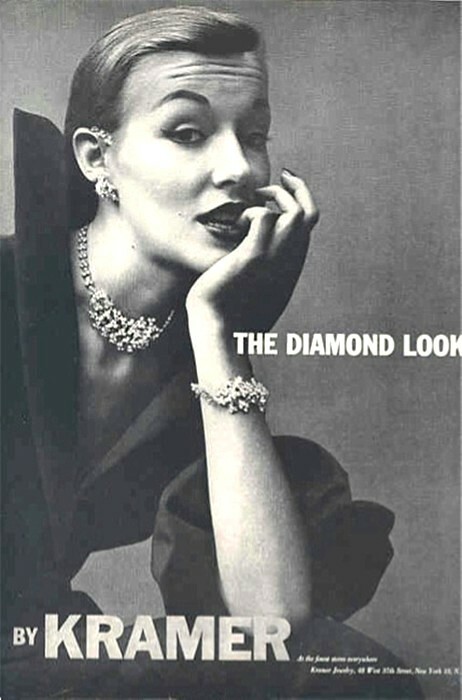 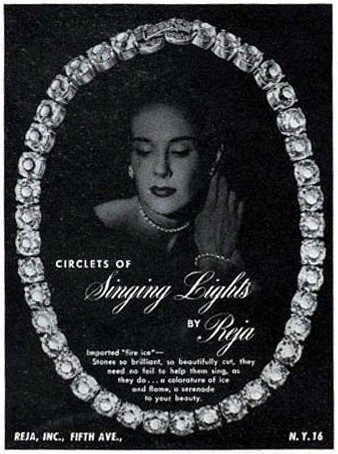 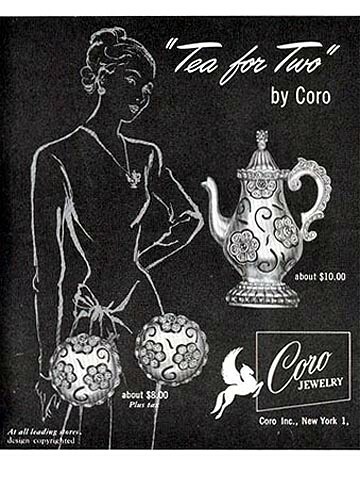 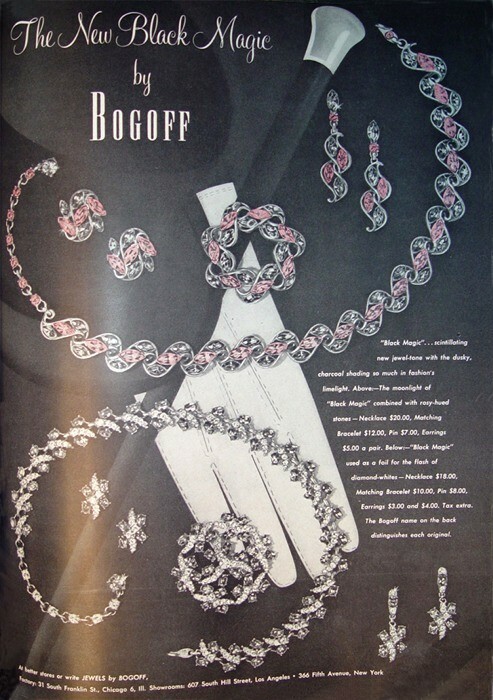 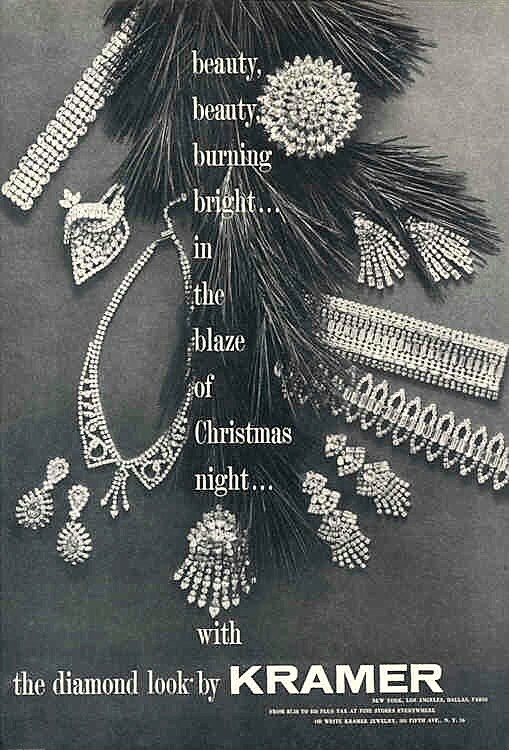 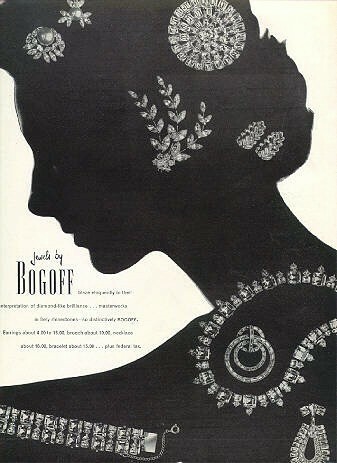 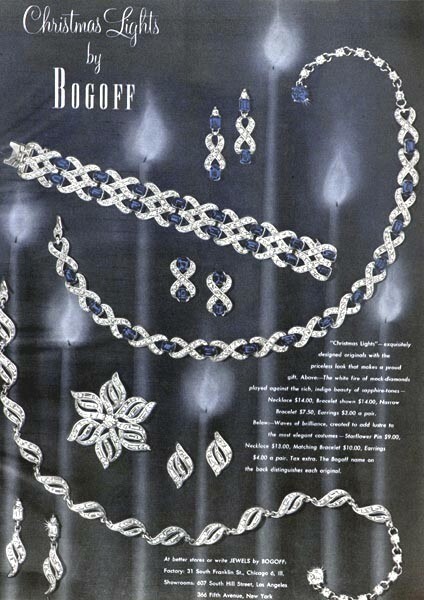 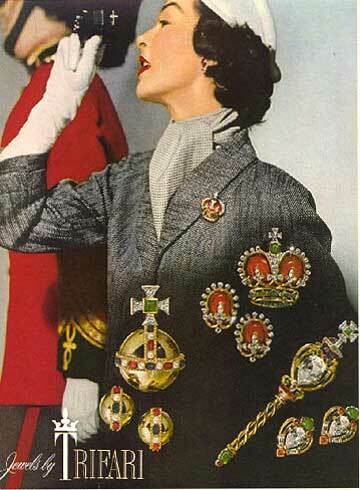 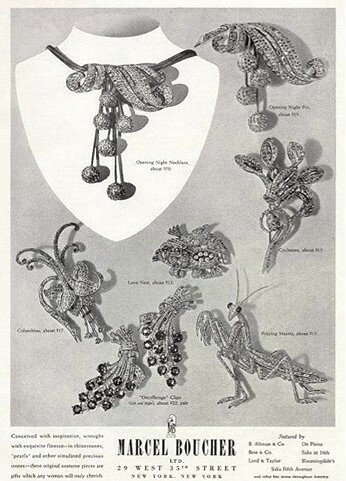 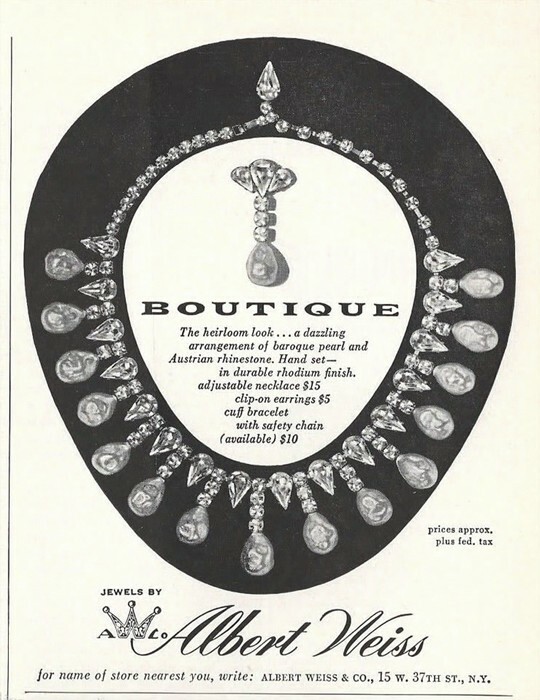 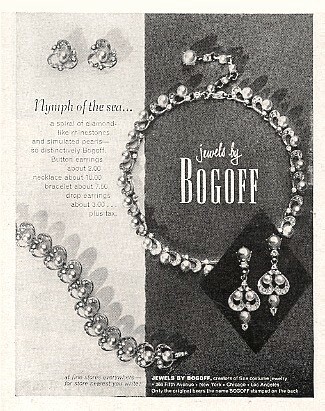 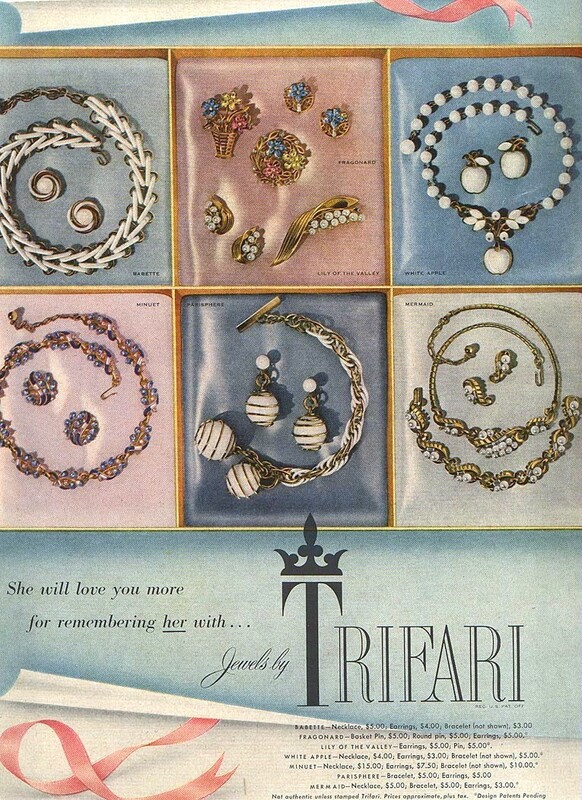 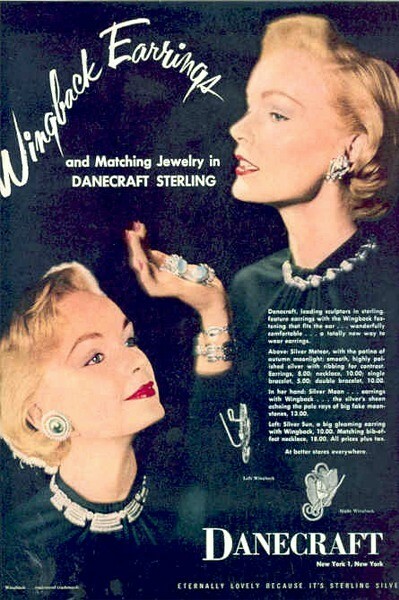 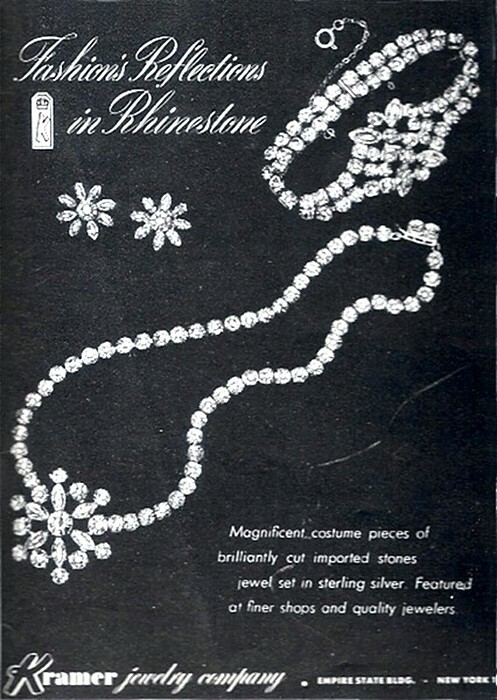 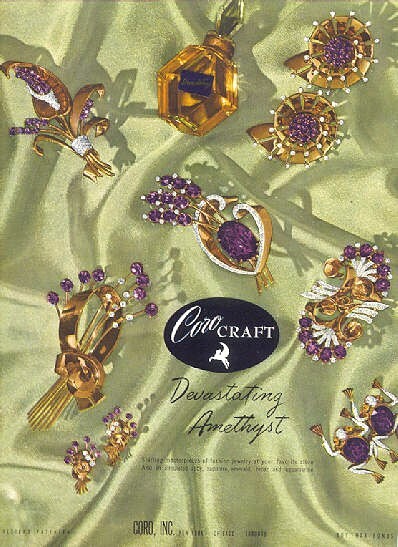 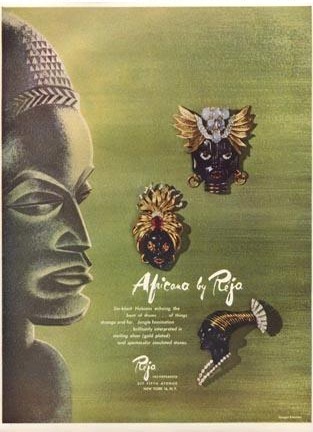 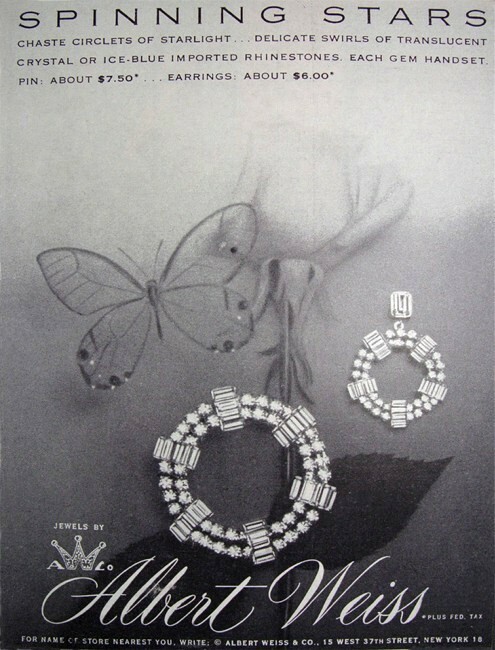 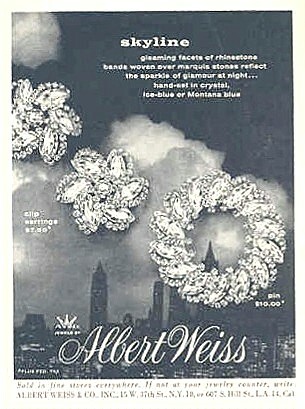 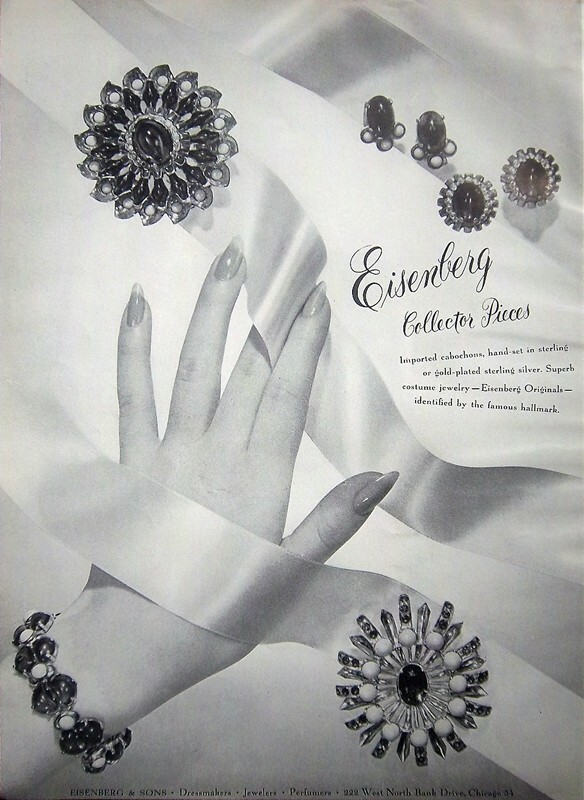 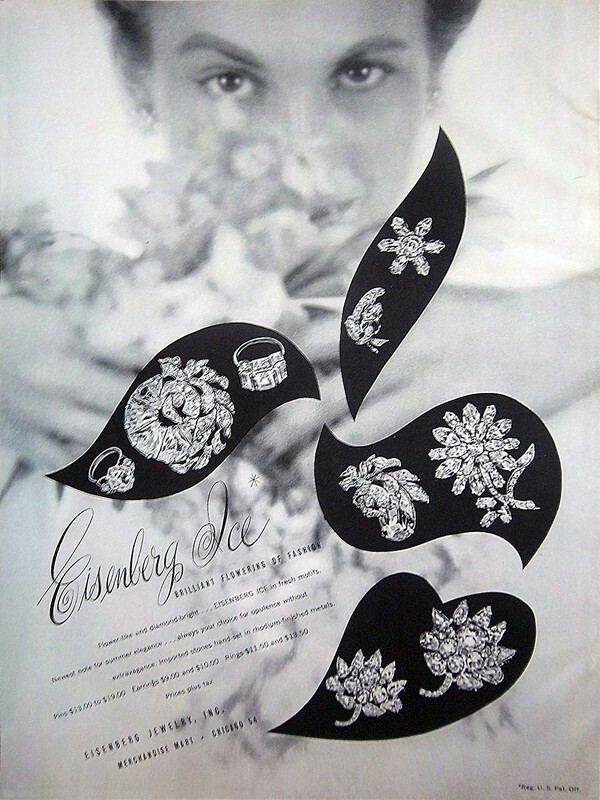 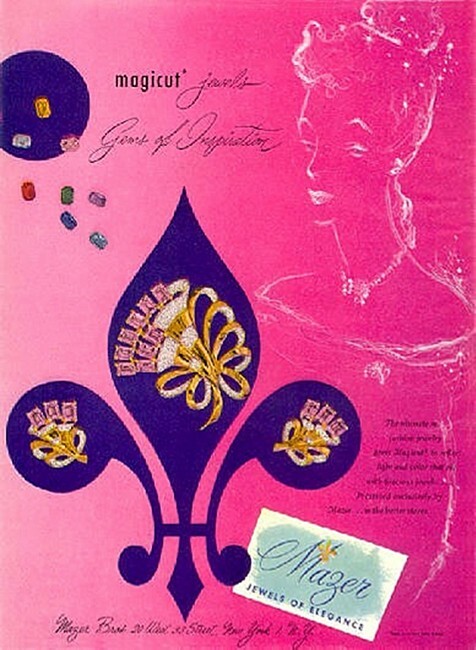 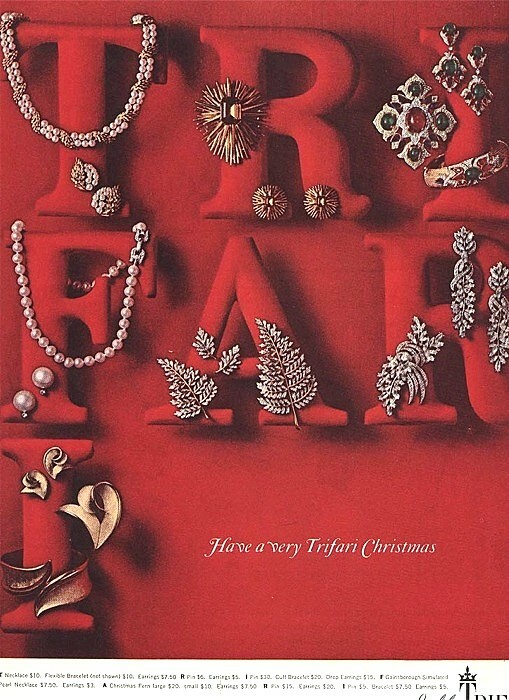 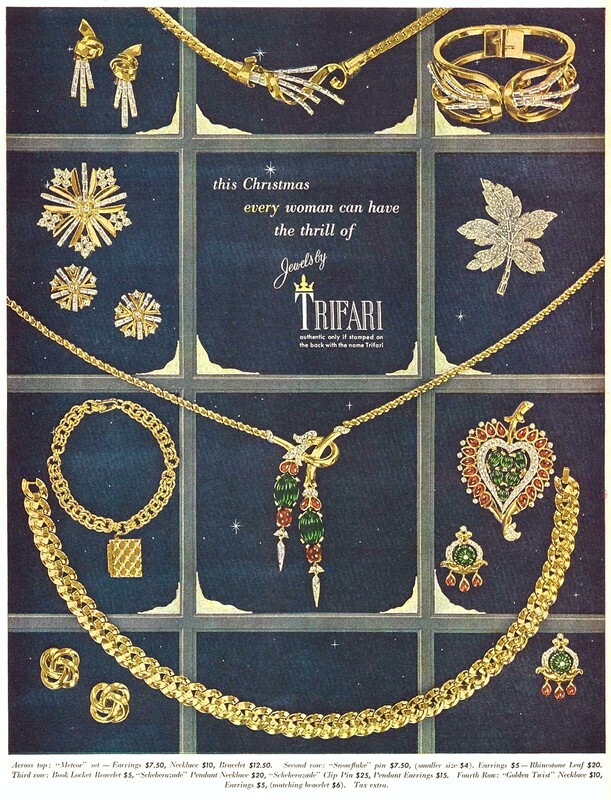 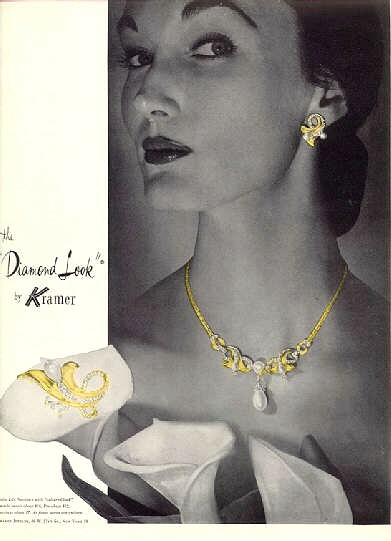 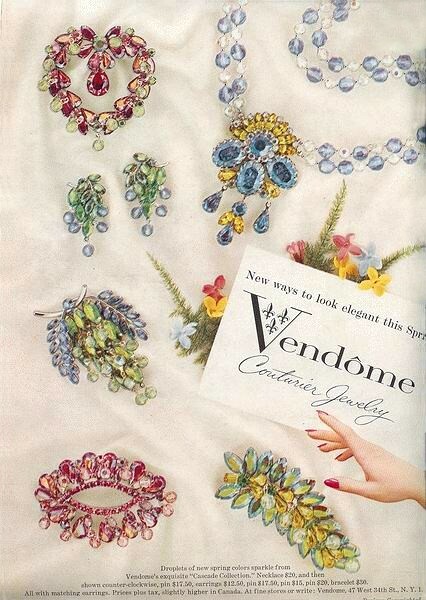 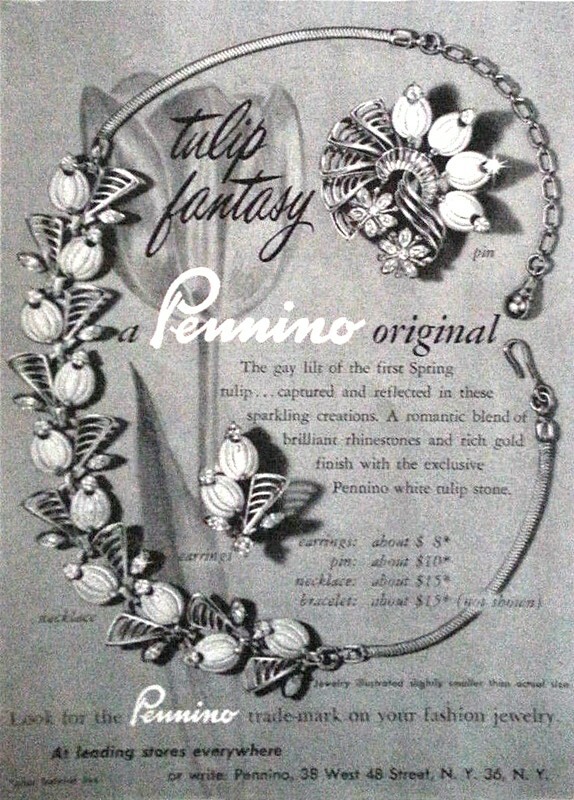 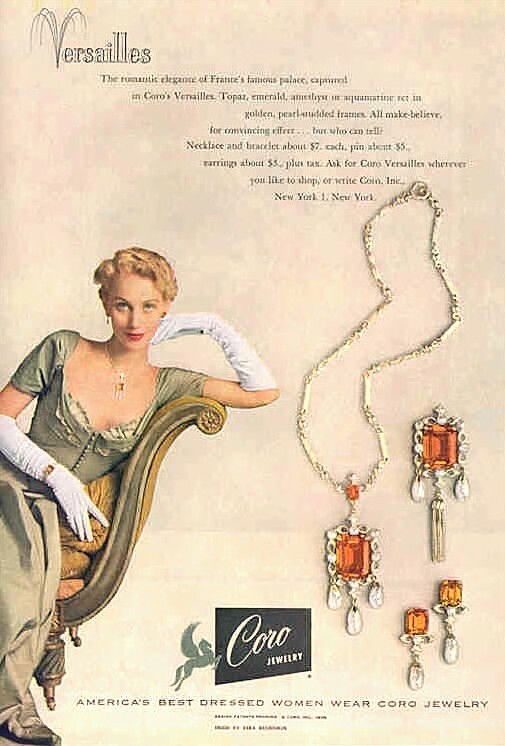 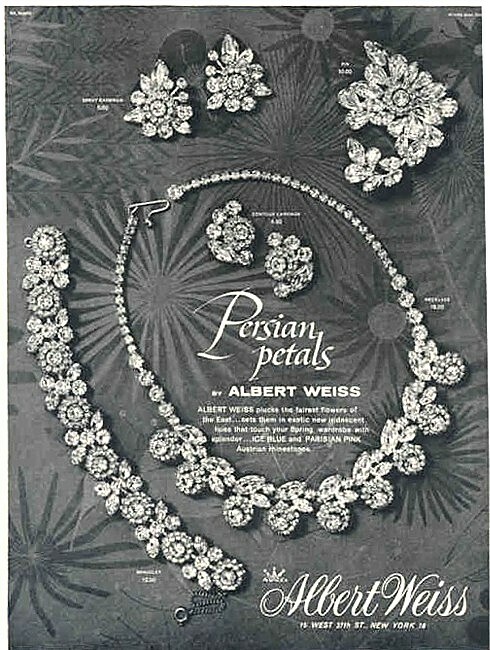 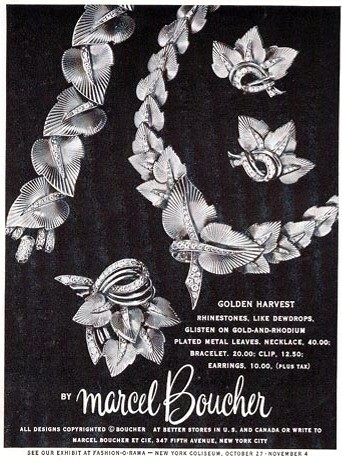 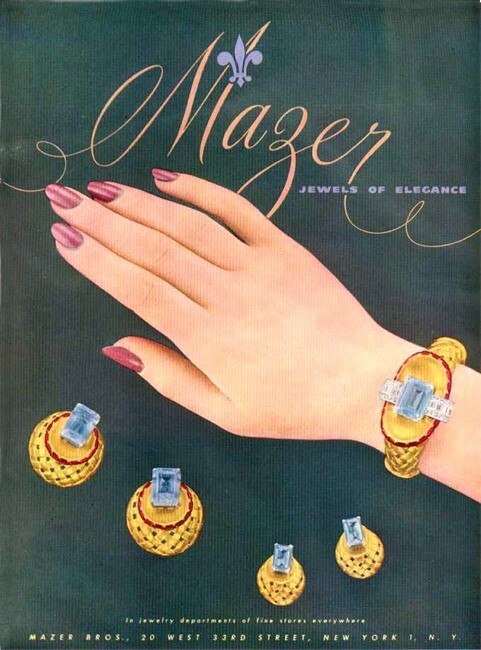 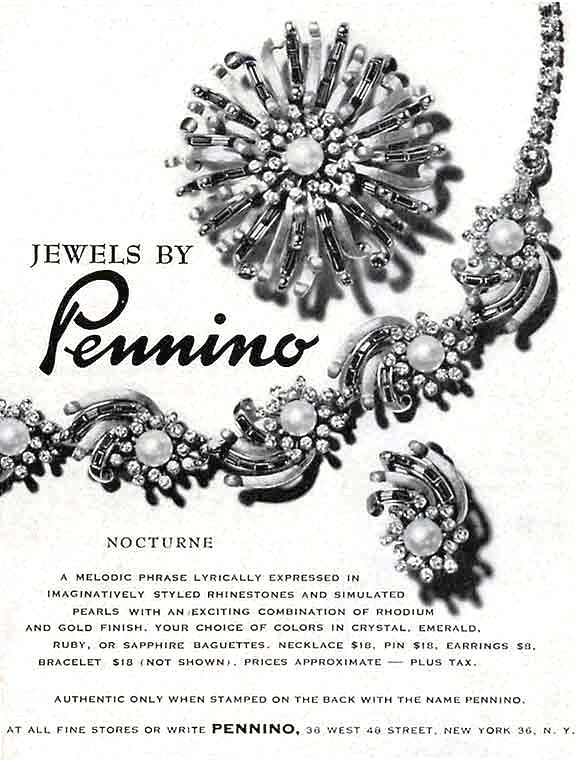 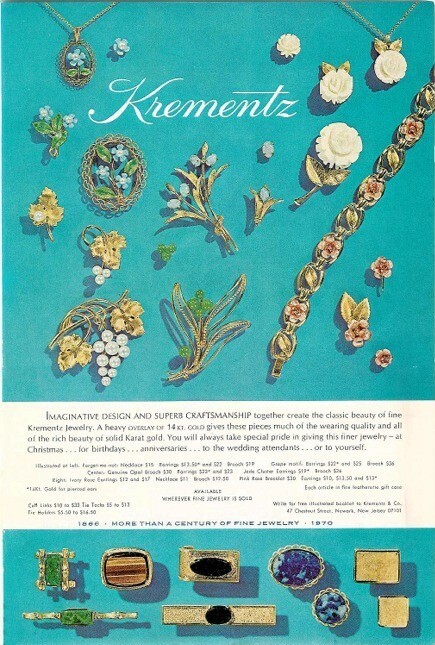 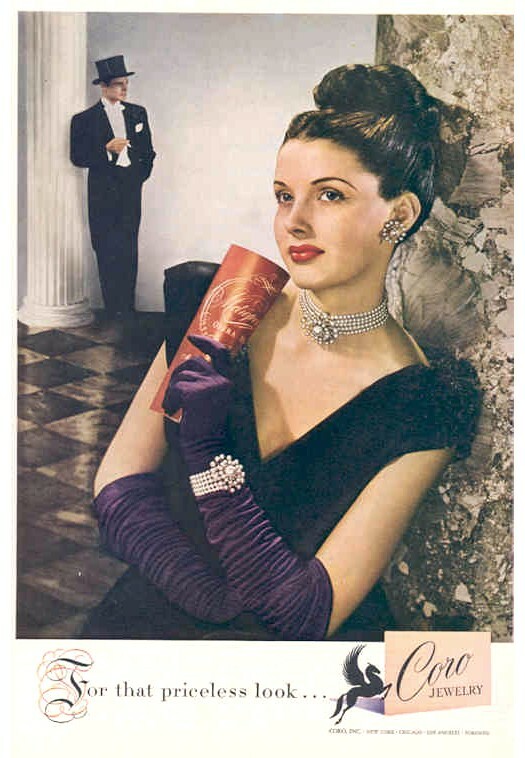 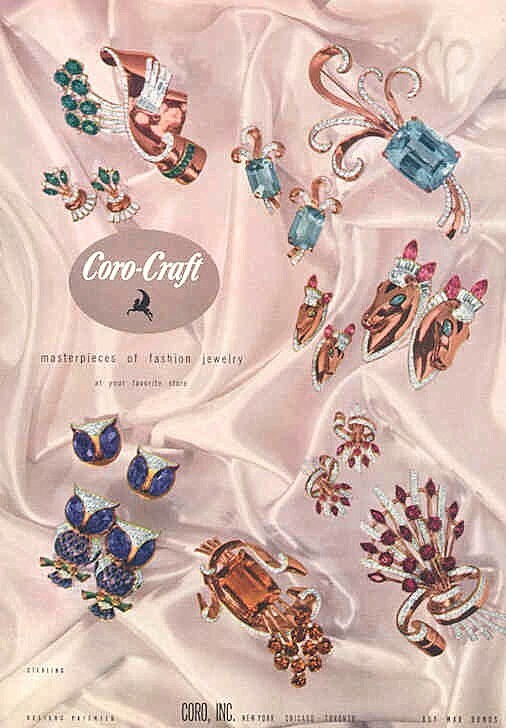 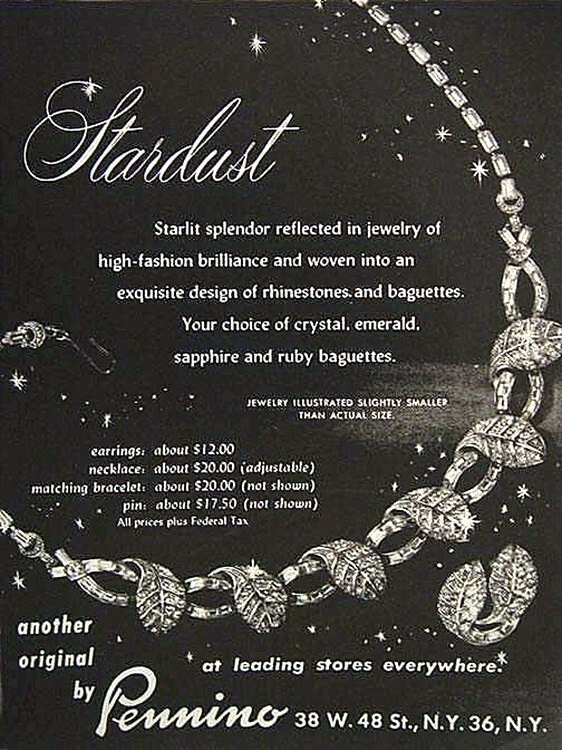 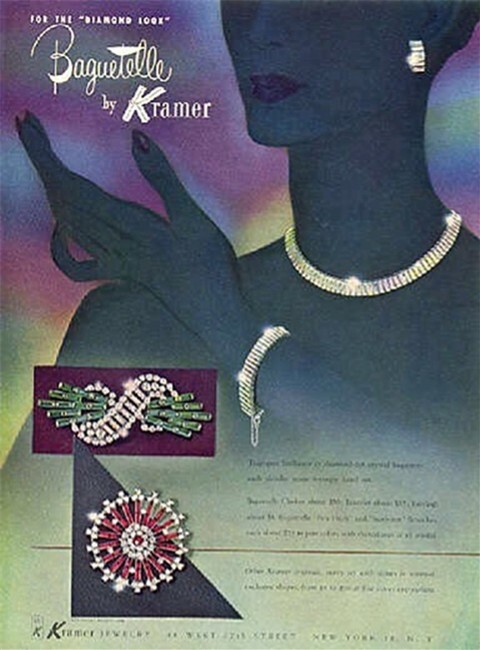 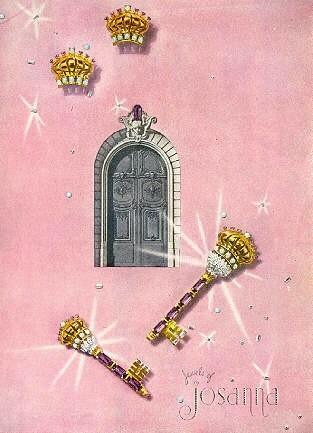 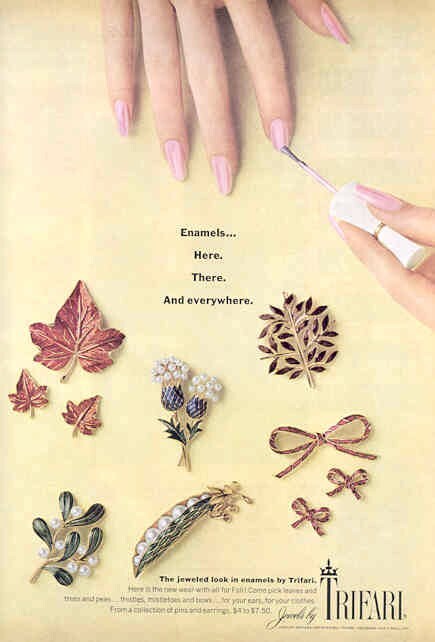 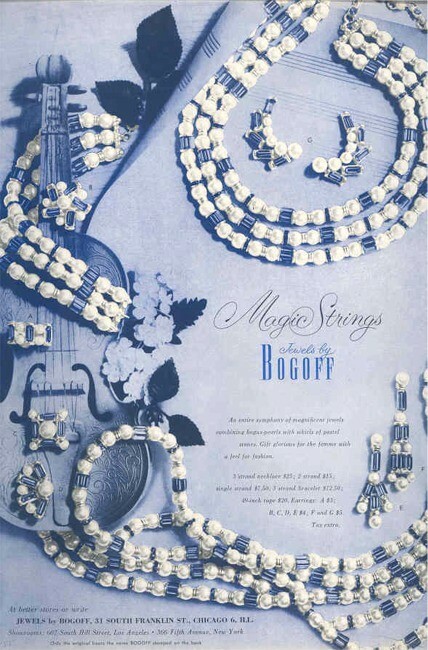 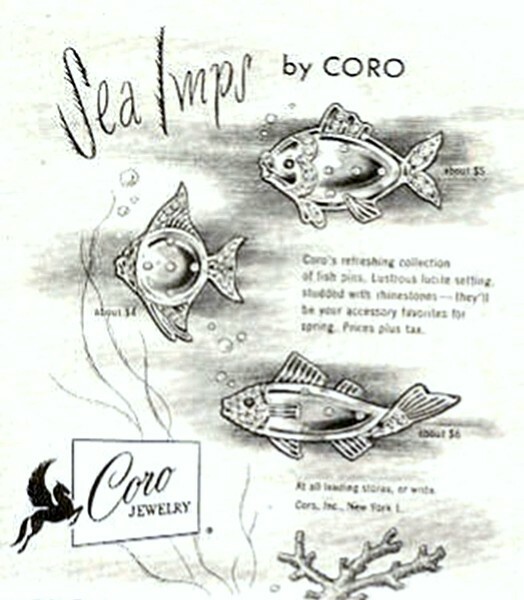 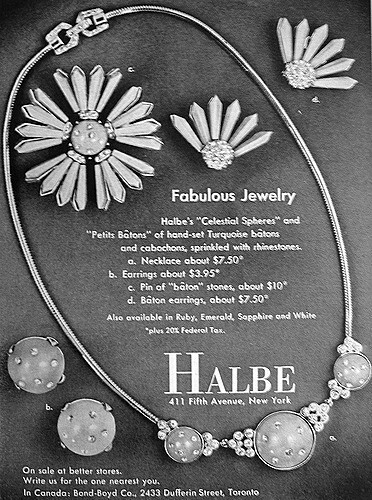 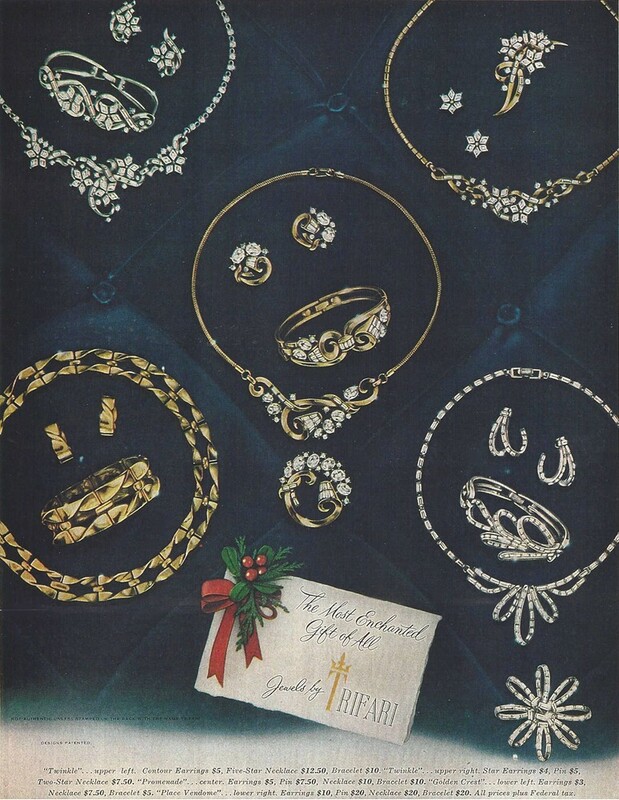 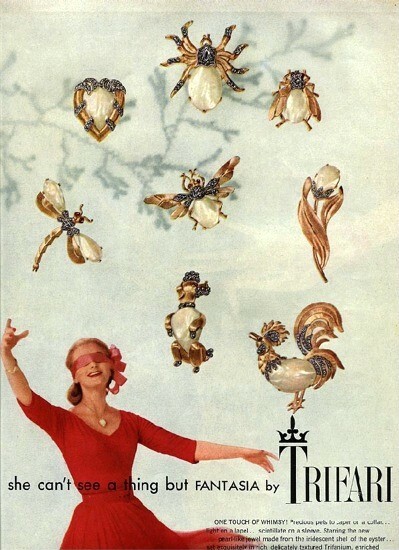 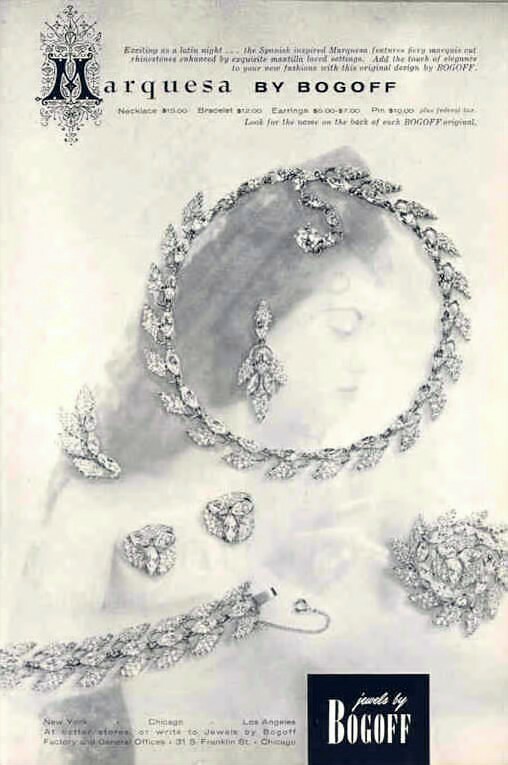 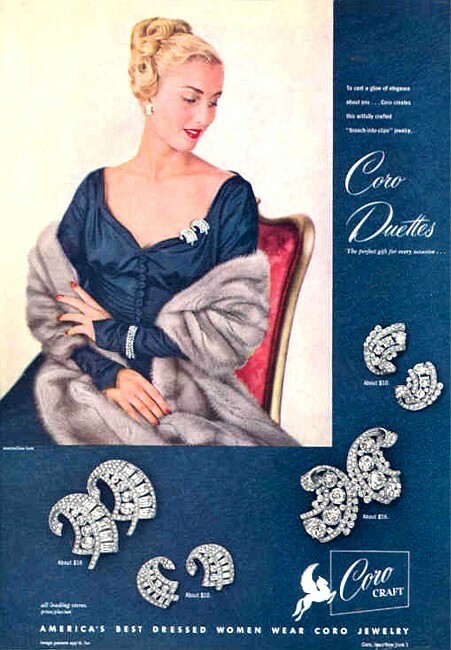 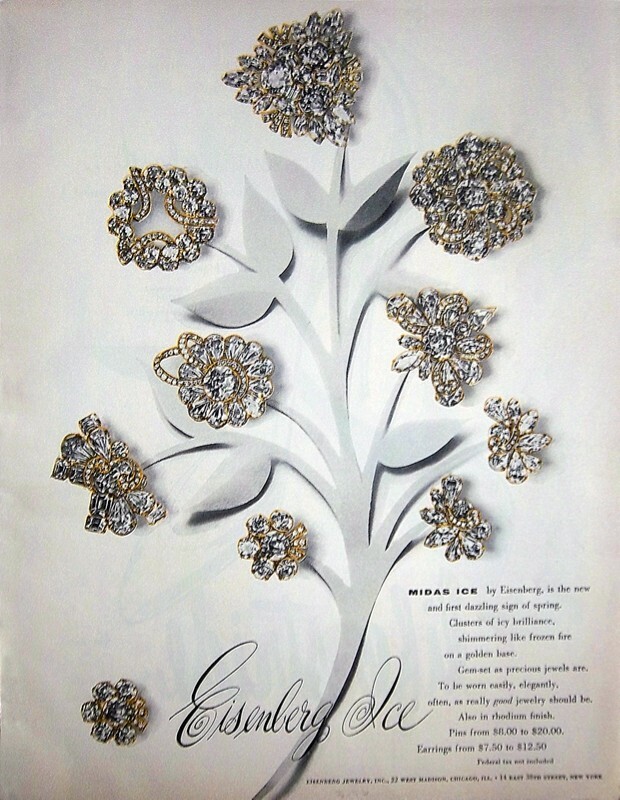 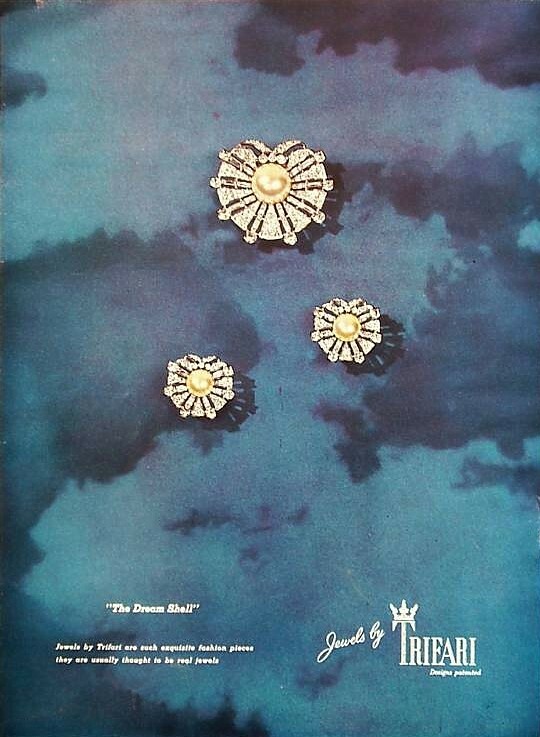 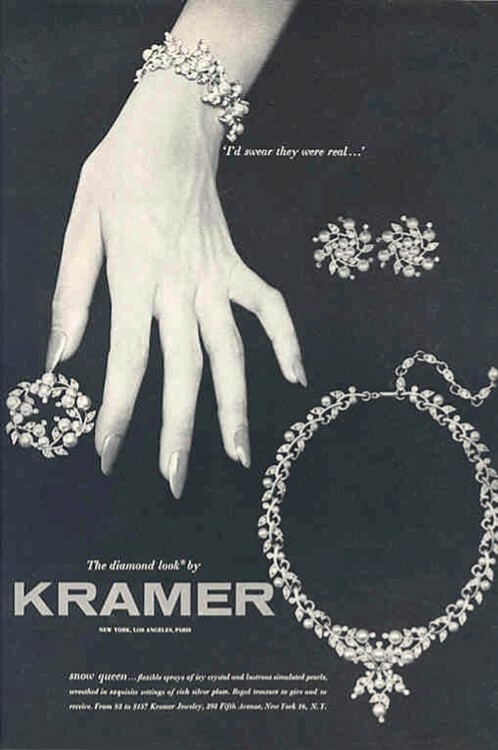 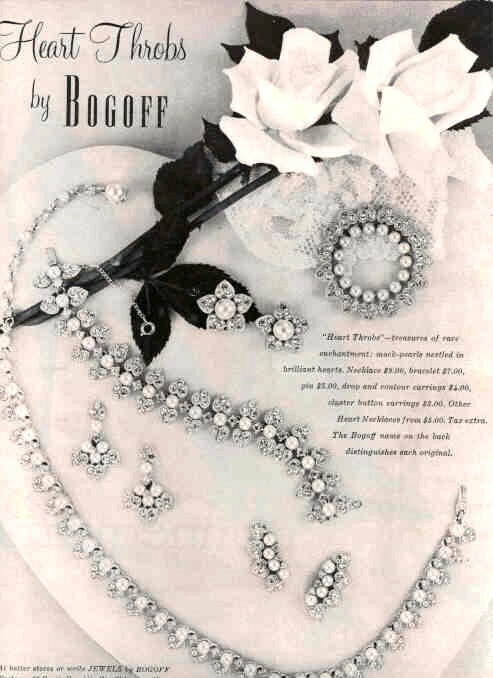 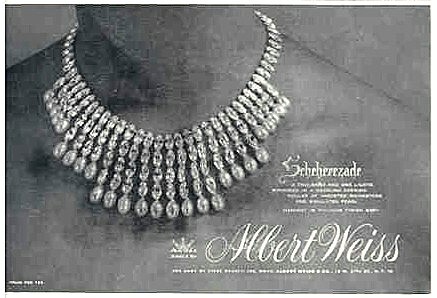 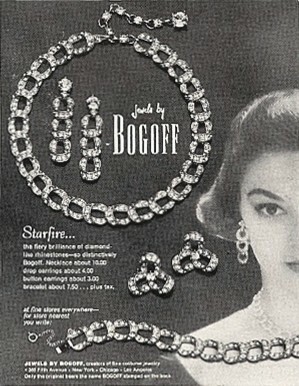 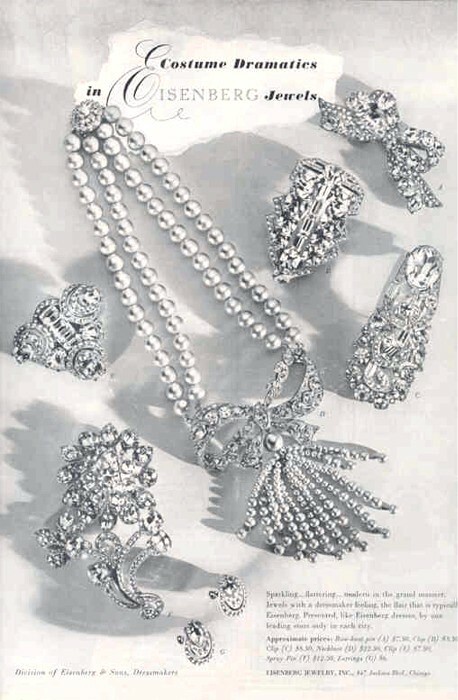 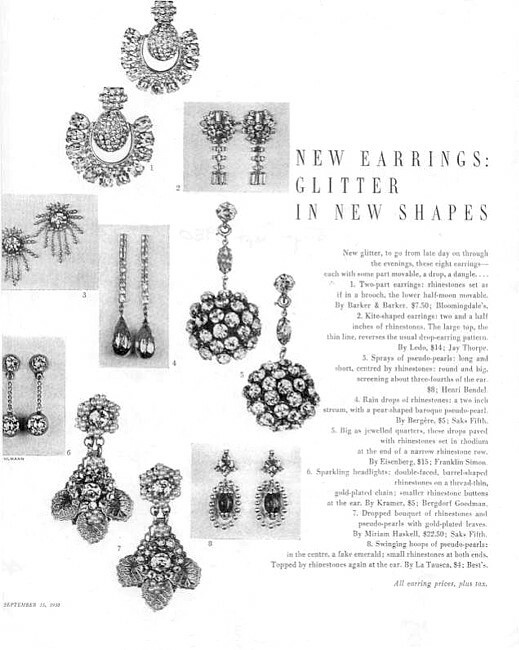 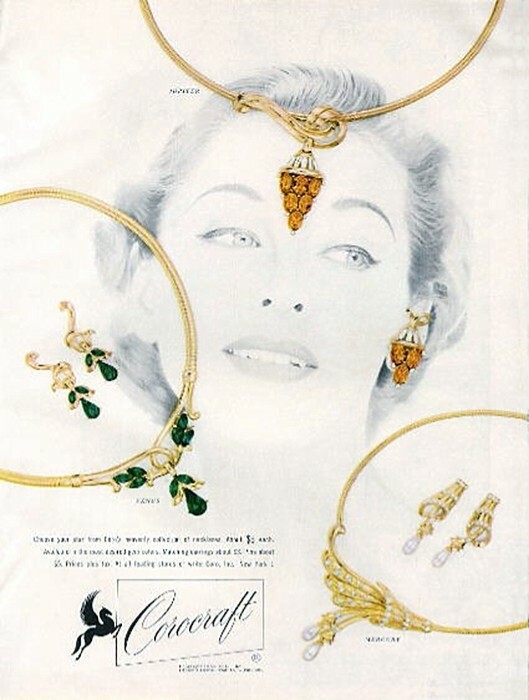 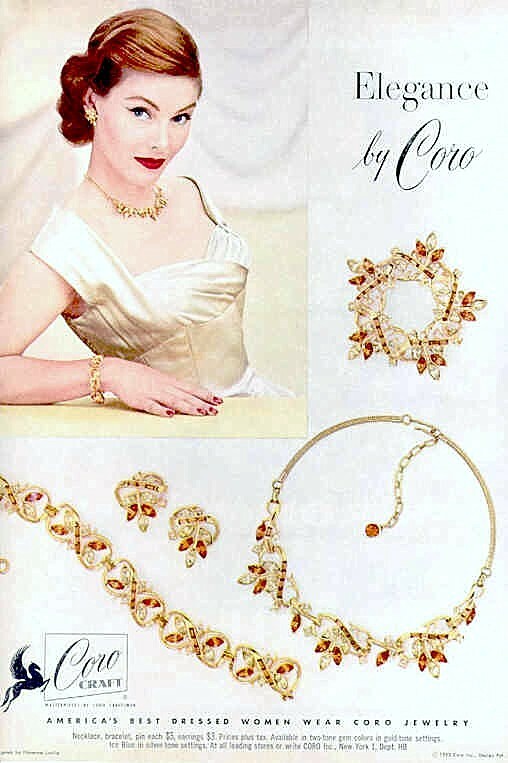 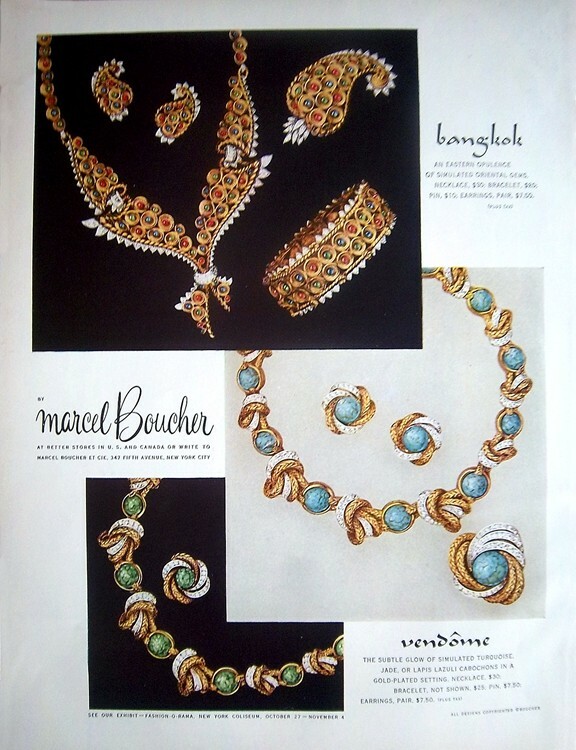 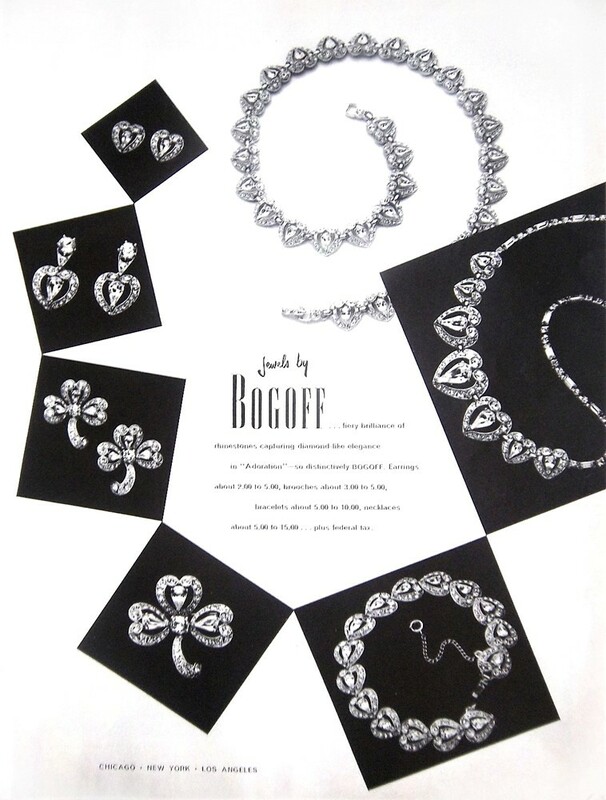 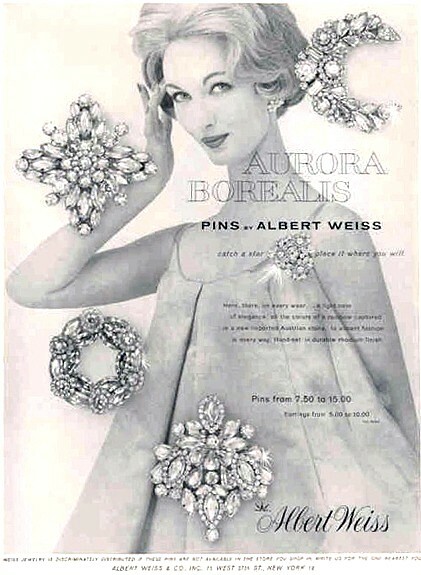 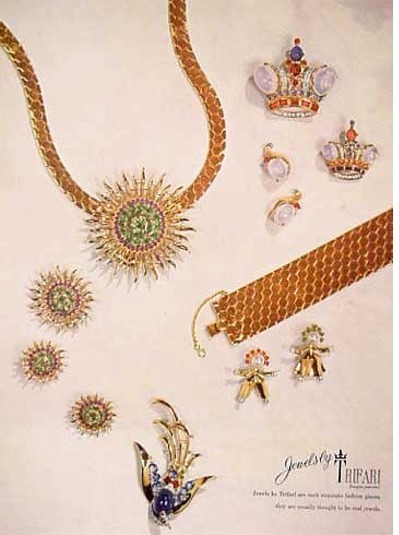 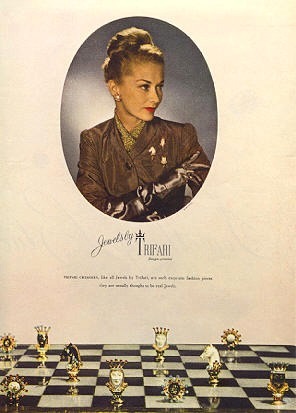 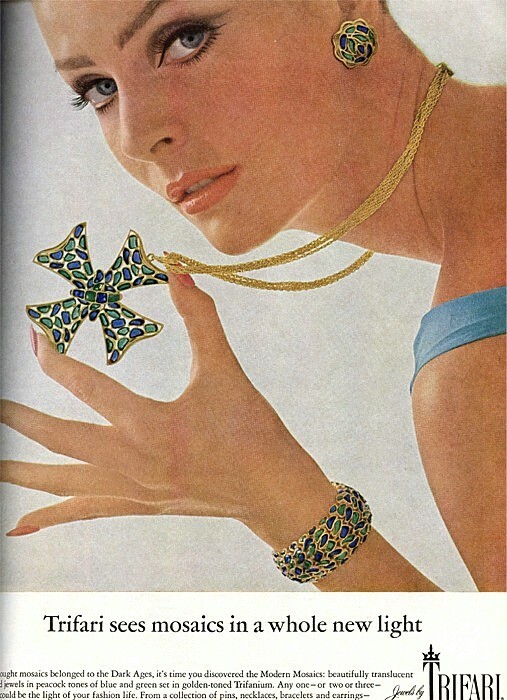 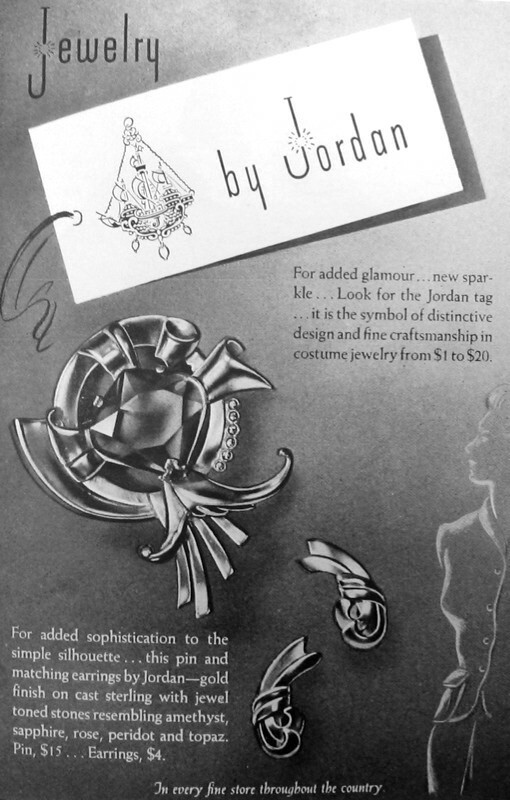 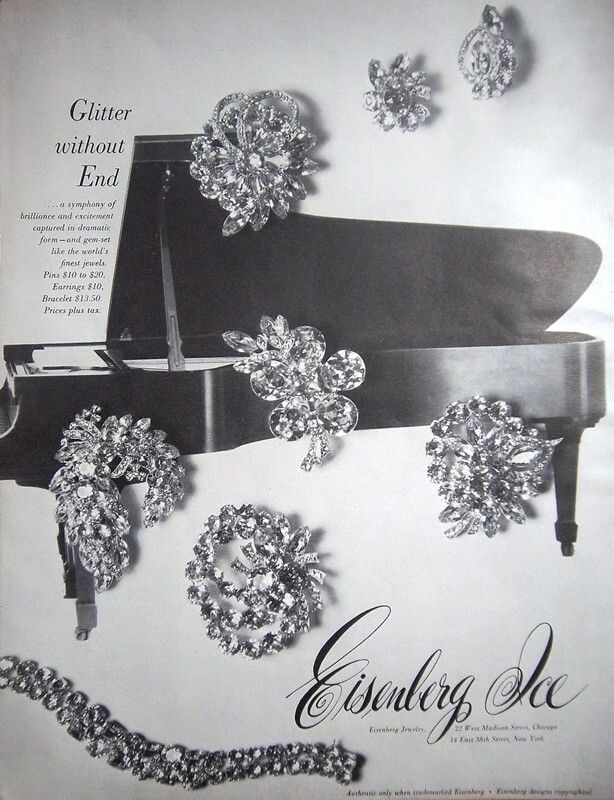 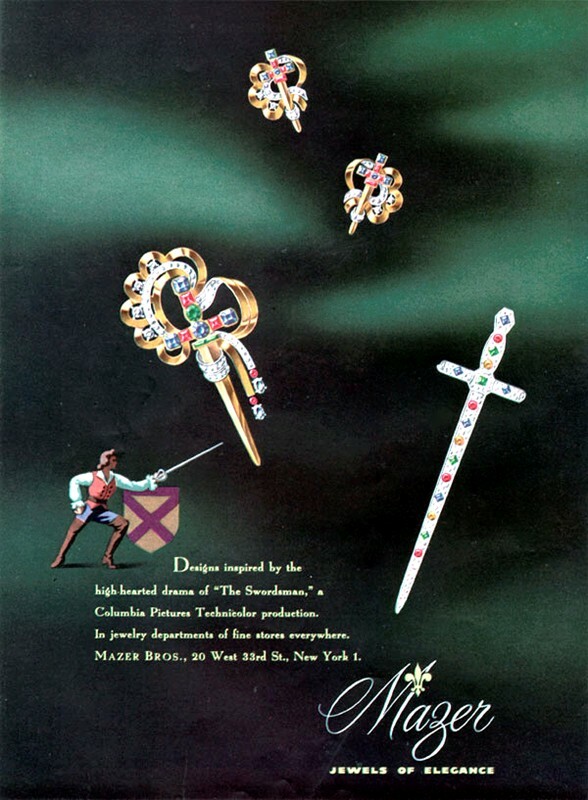 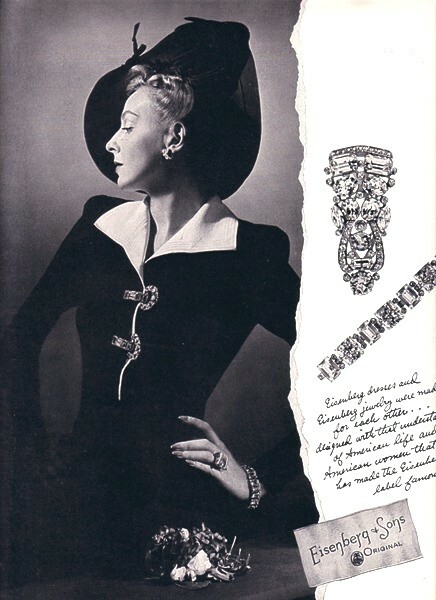 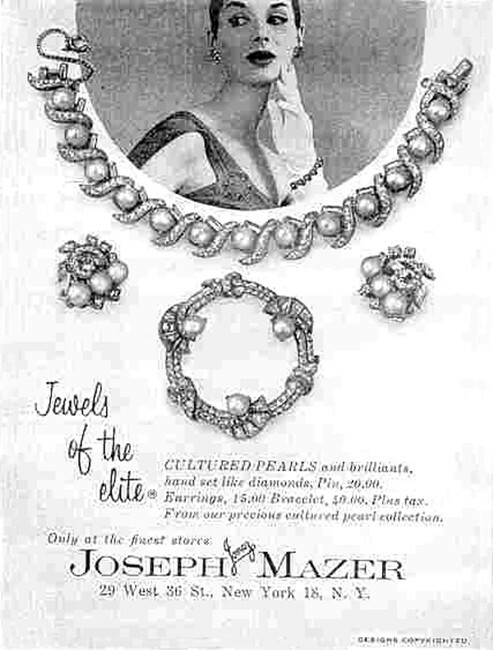 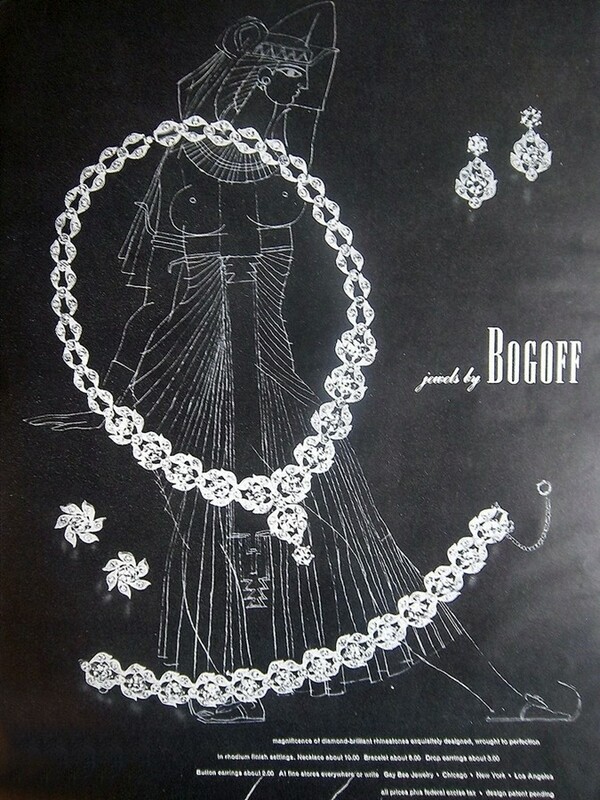 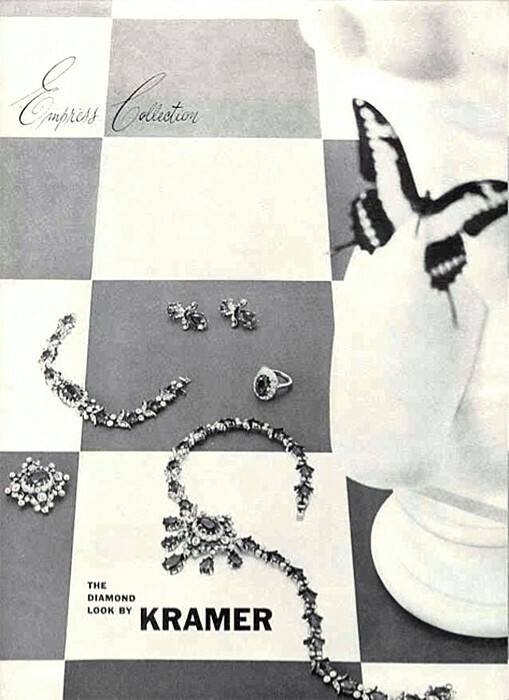 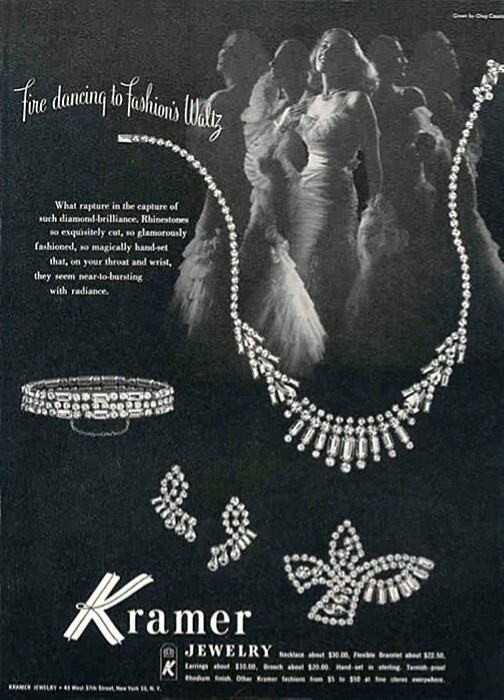 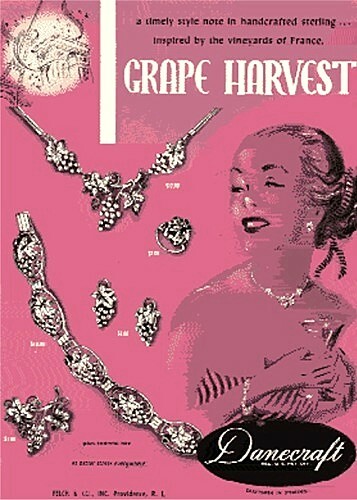 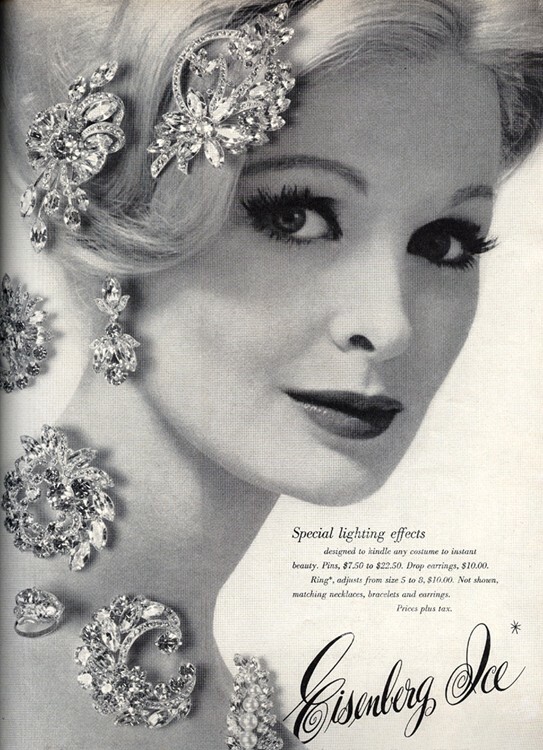 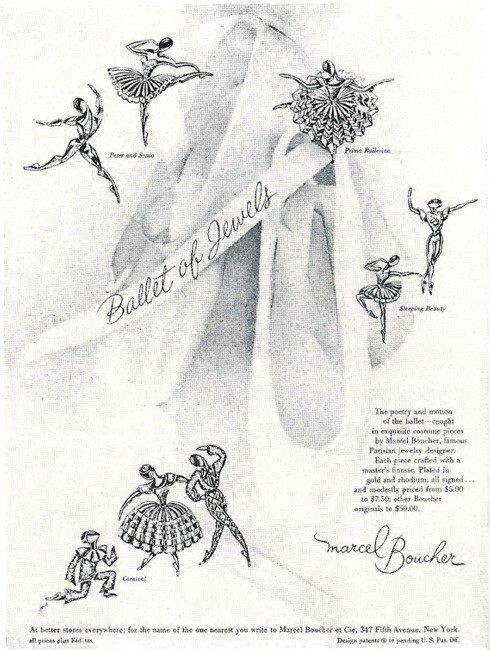 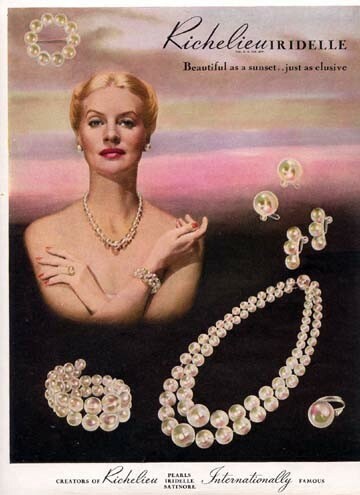 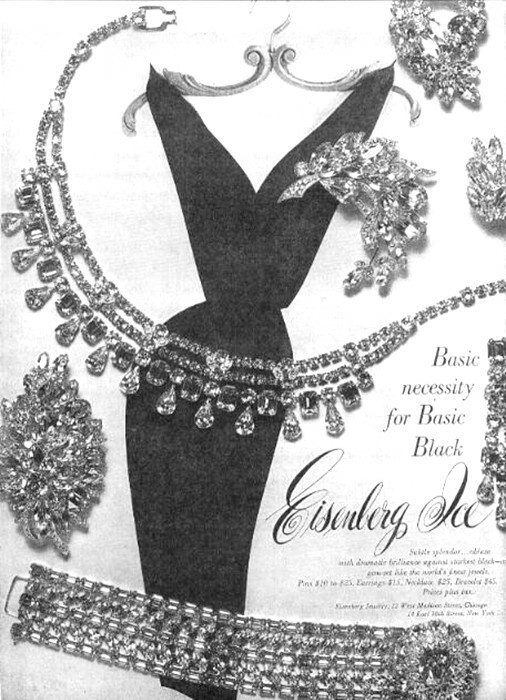 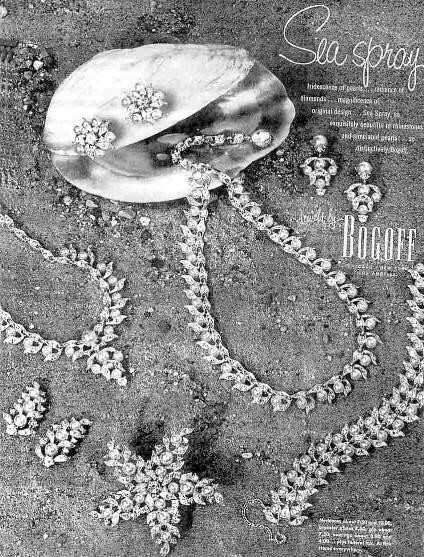 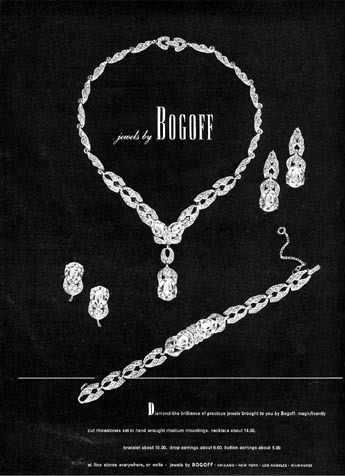 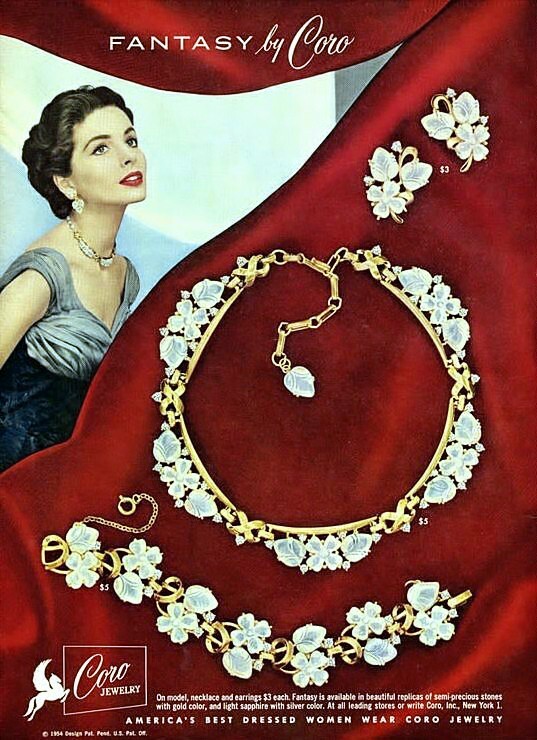 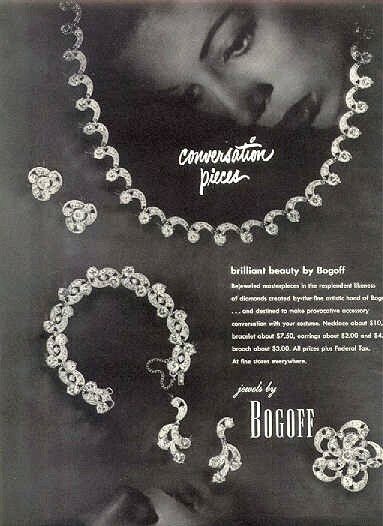 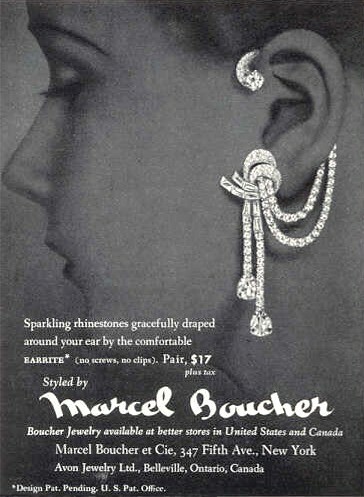 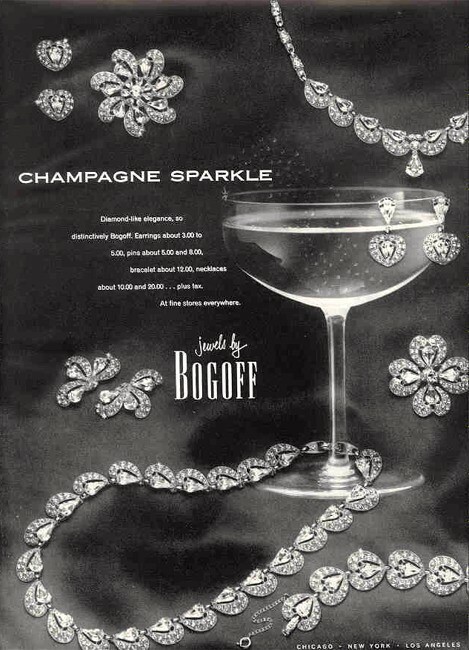 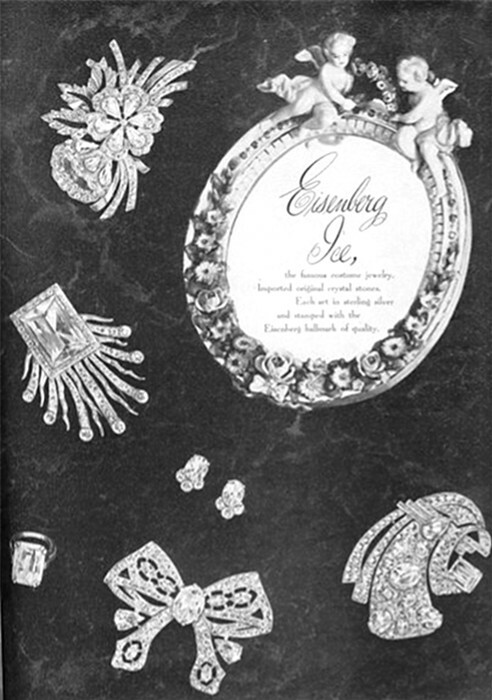 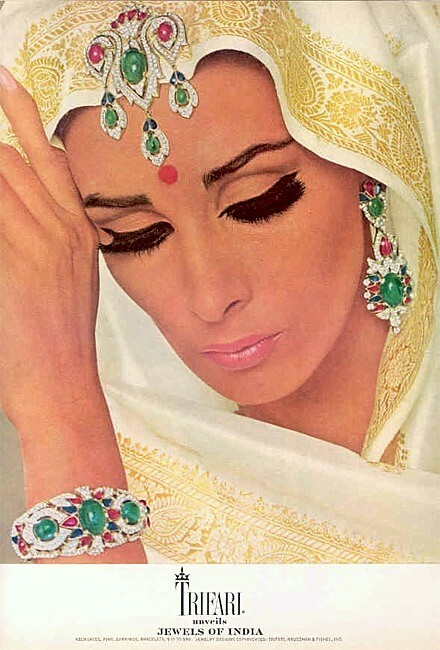 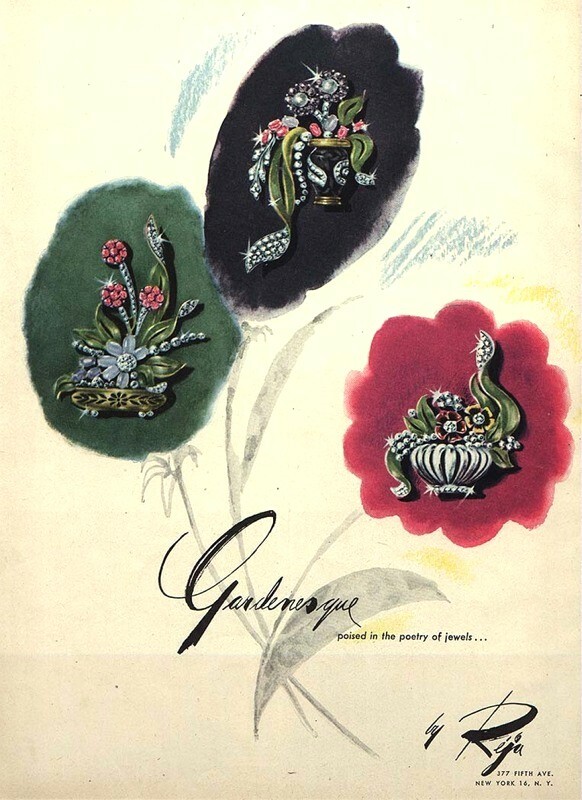 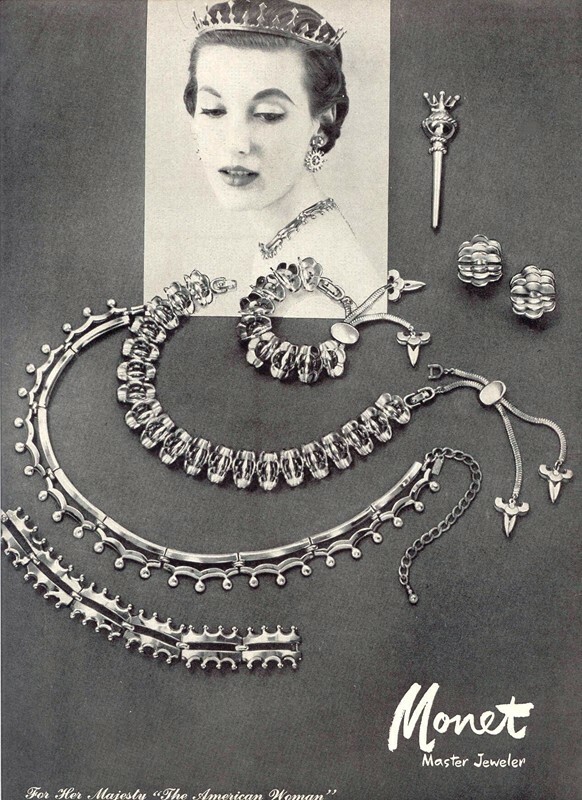 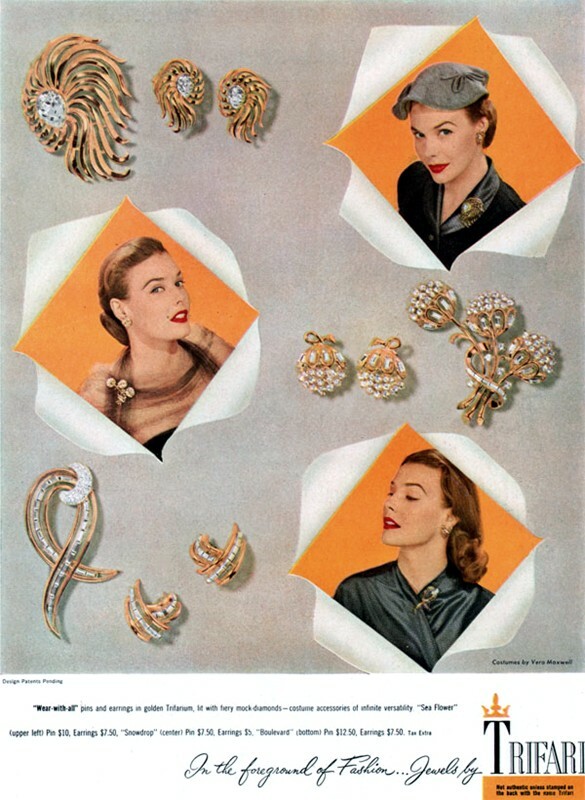 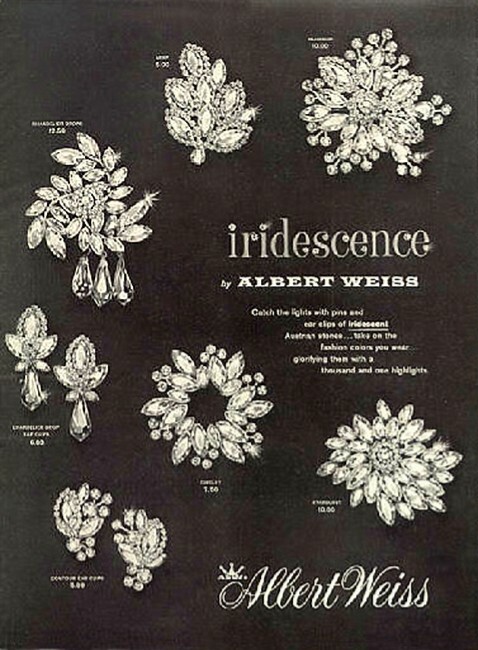 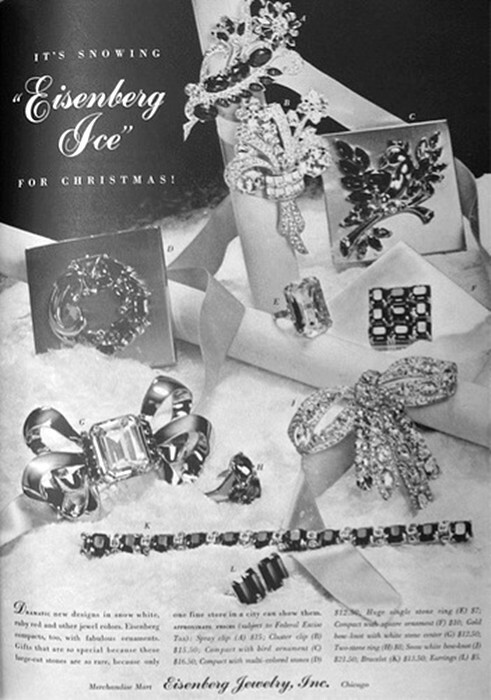 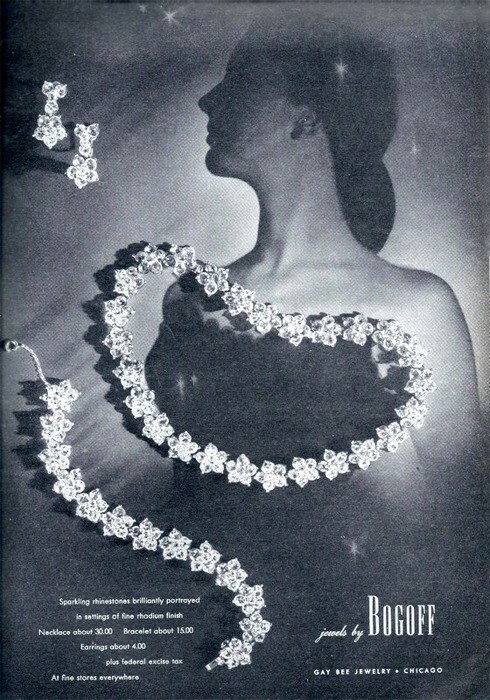 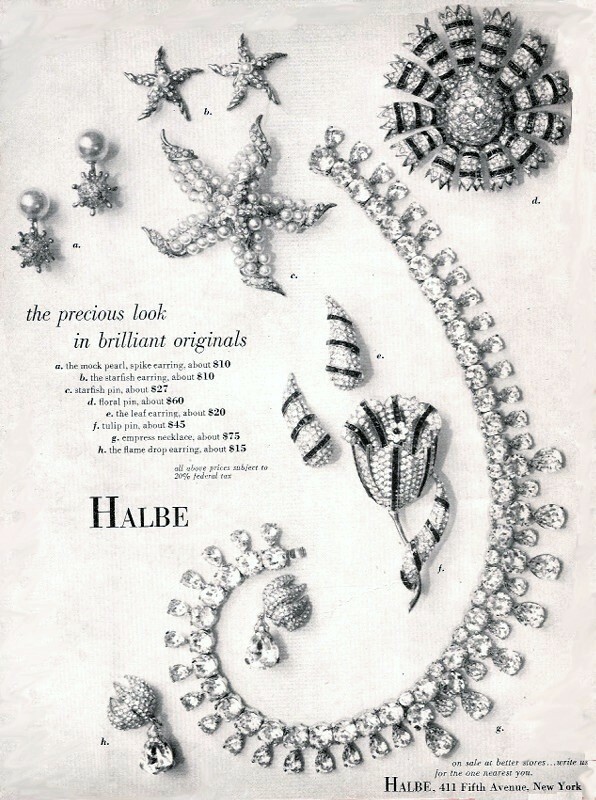 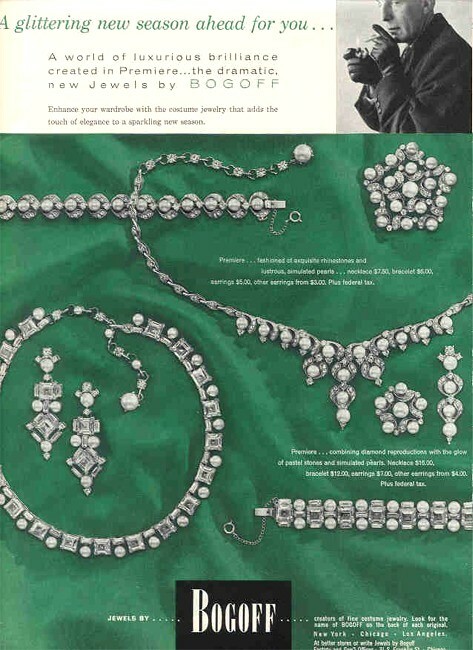 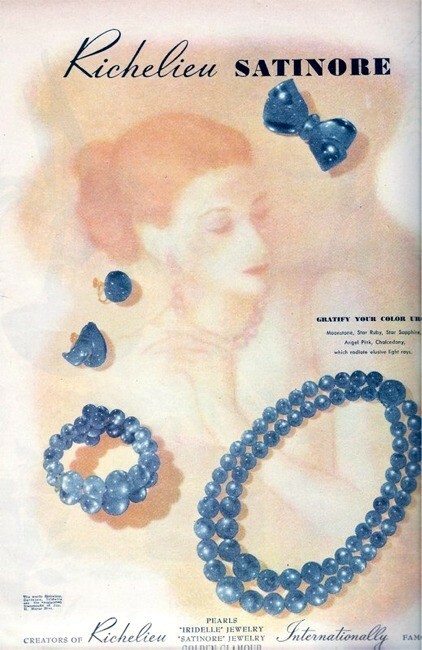 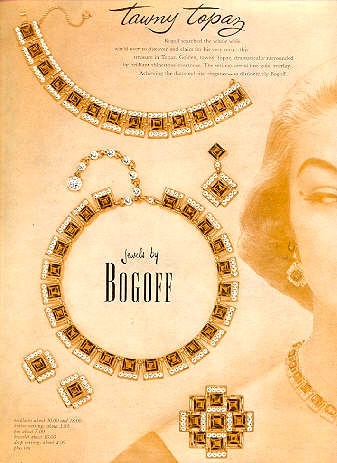 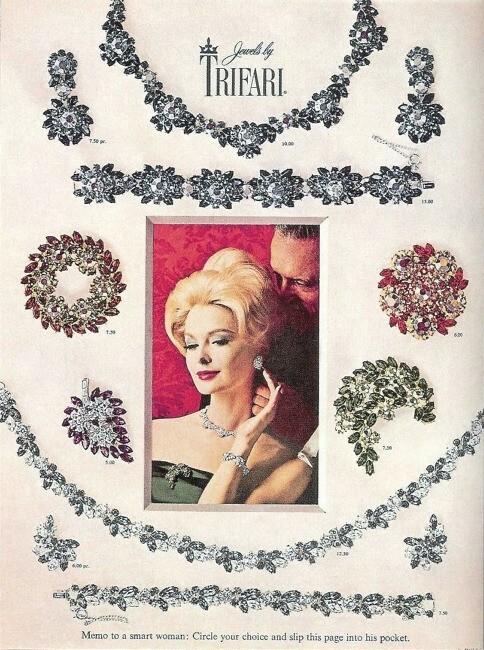 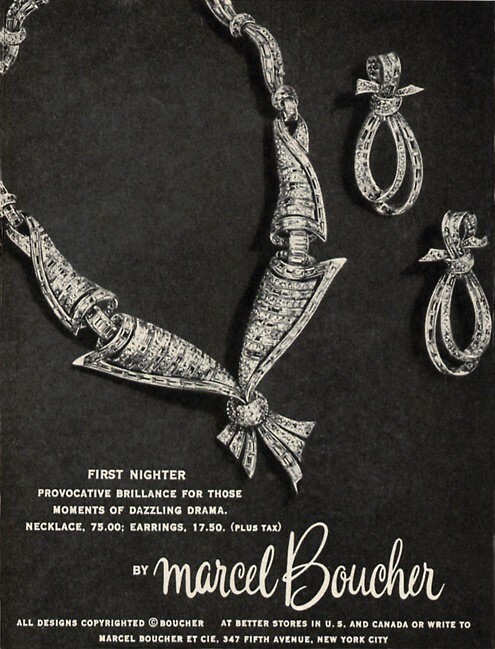 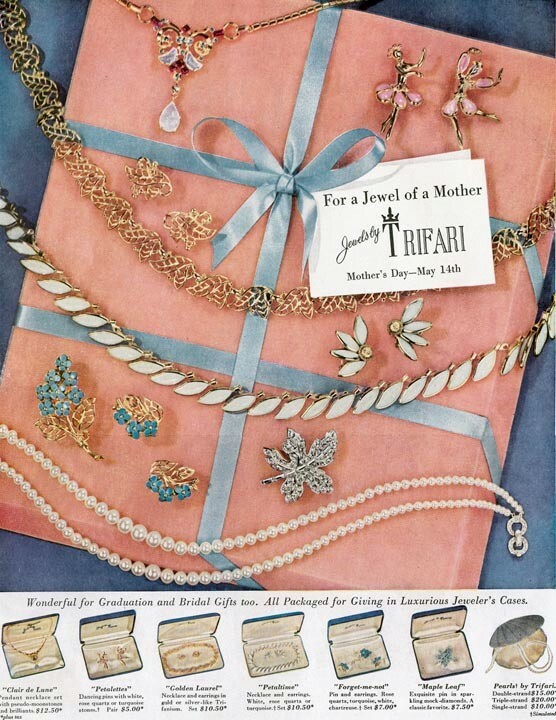 Ads provide an excellent means of seeing how vintage costume jewelry was worn with the fashions of the day, or to become acquainted with the styling of that year or time. 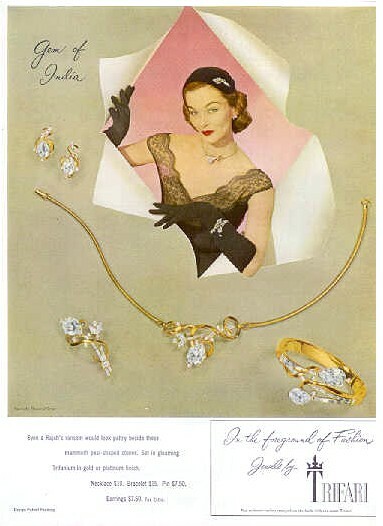 But, their real value for collectors is as a resource in dating pieces. 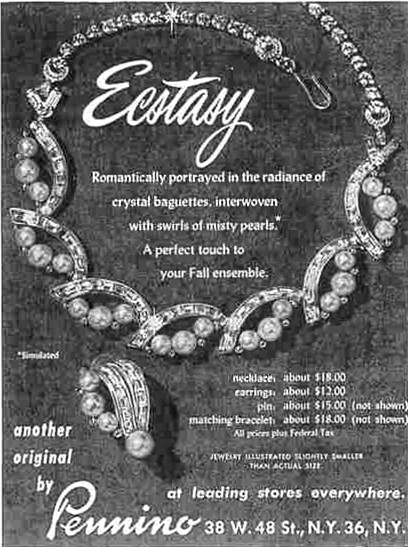 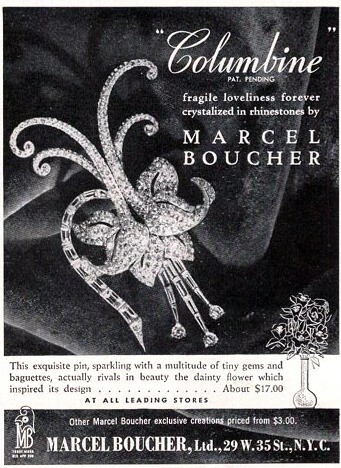 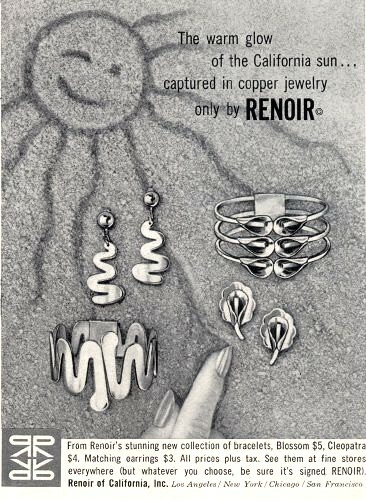 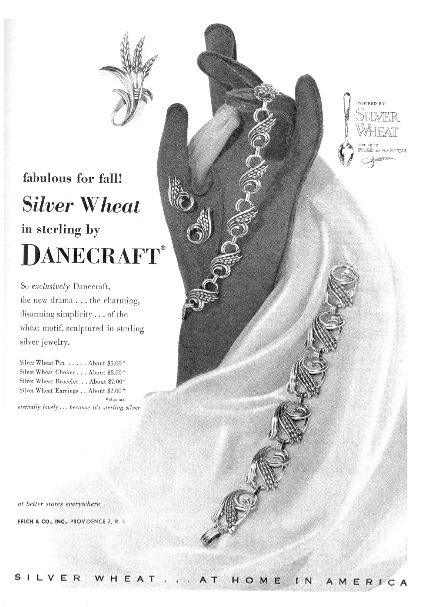 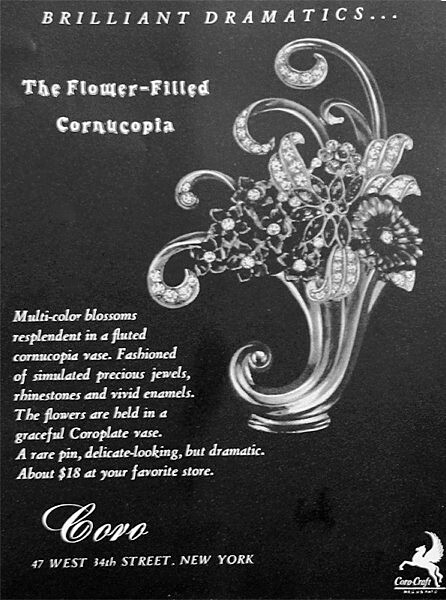 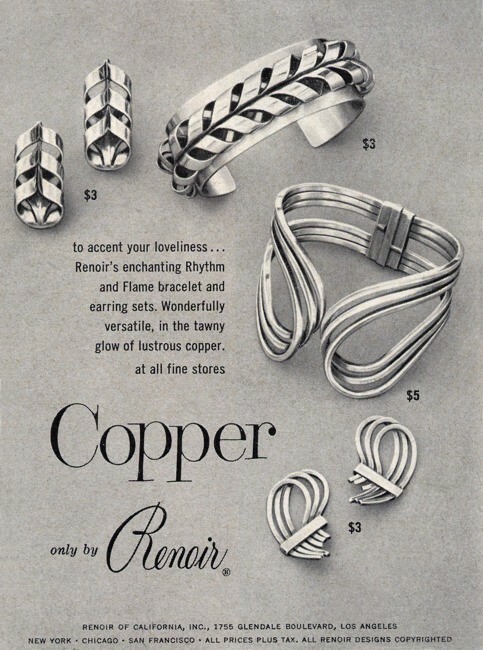 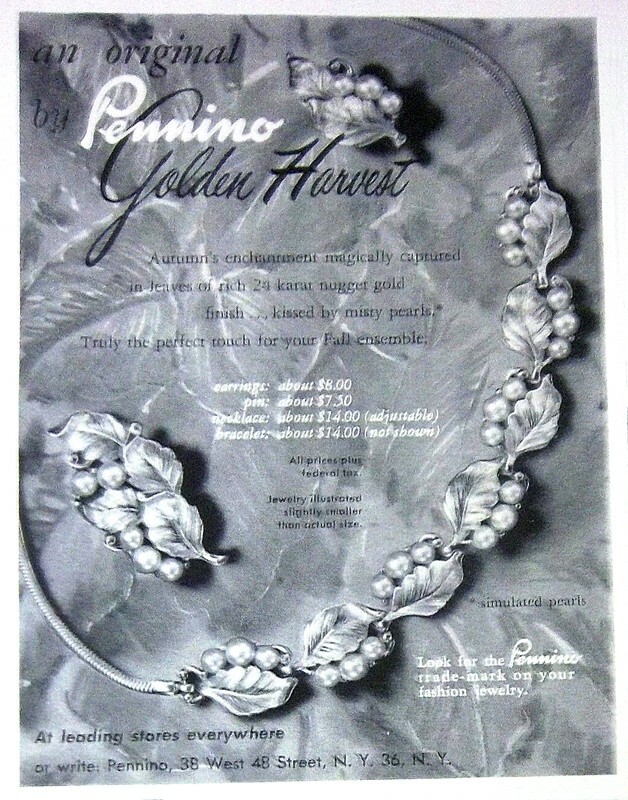 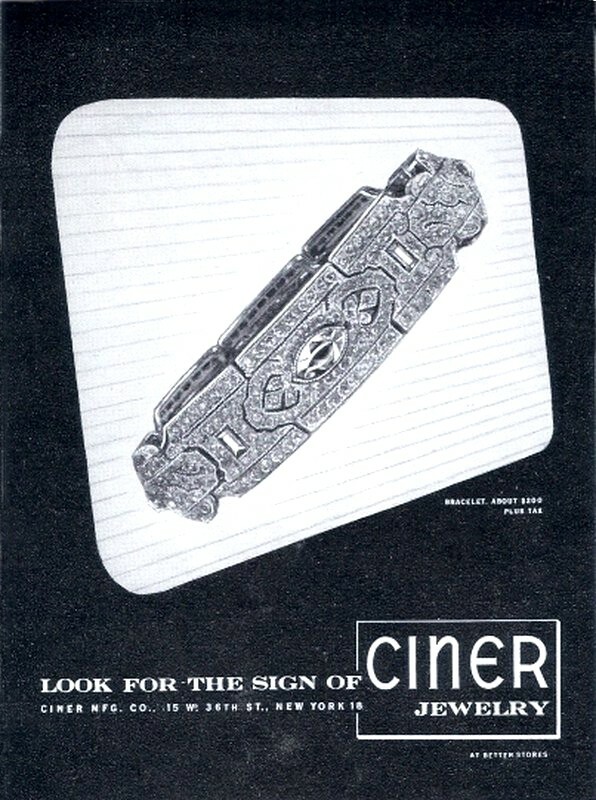 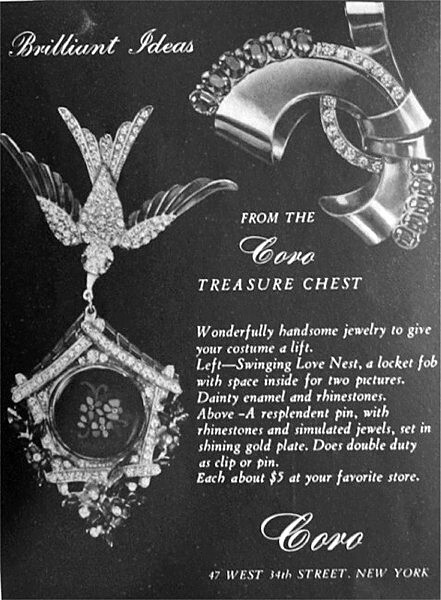 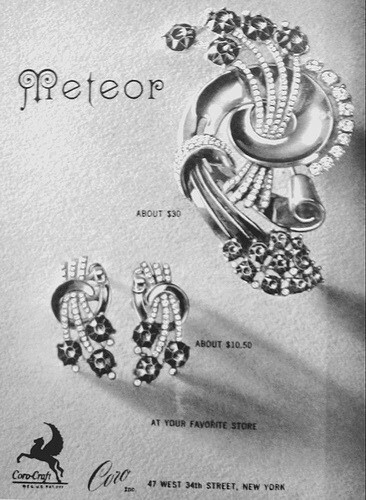 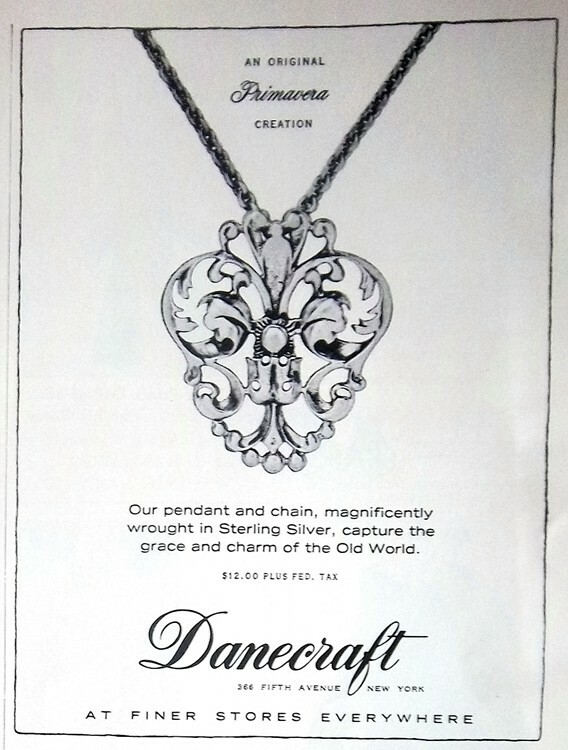 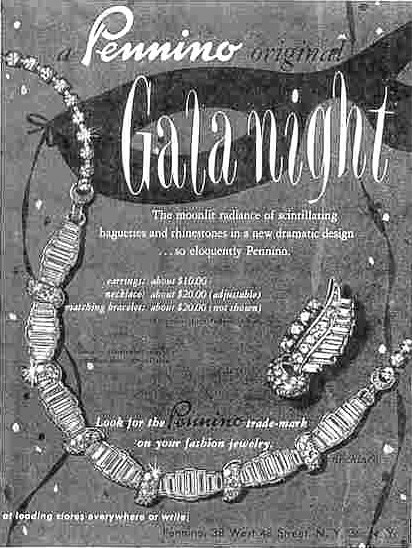 It's always a thrill to find a piece of beloved jewelry in an old advertisement, either for dating it or for identifying the maker. 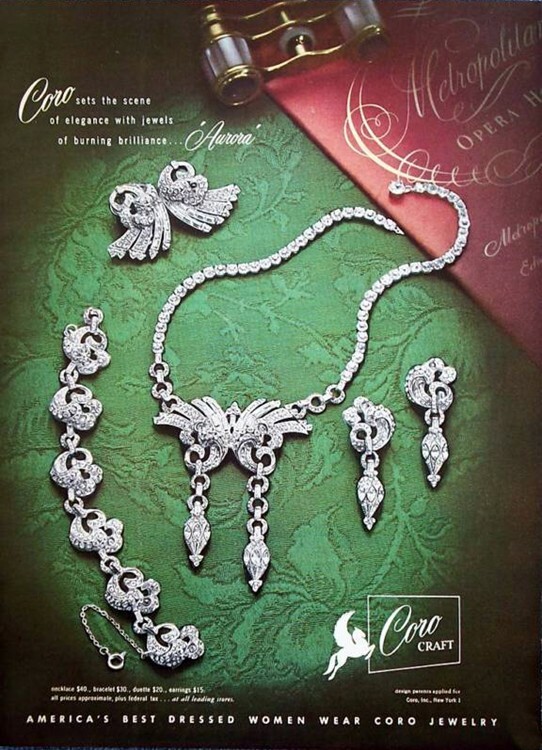 Please browse through and enjoy these ads. 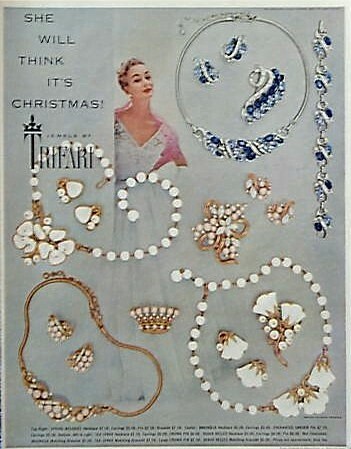 Maybe you'll see something there you own or want to put on your wish list! 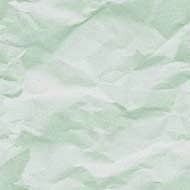 Use the links below for quick access to each section. 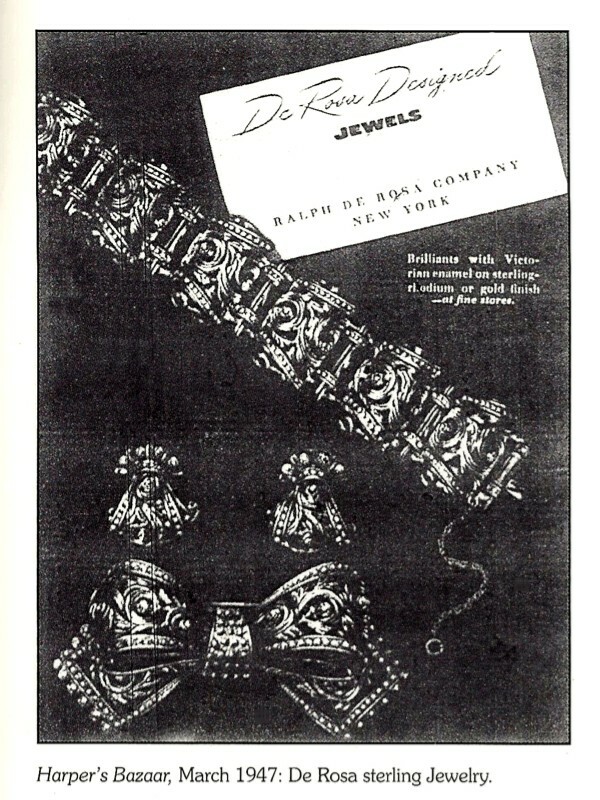 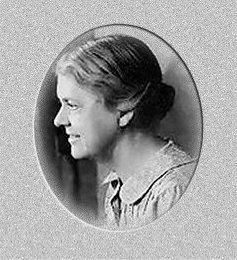 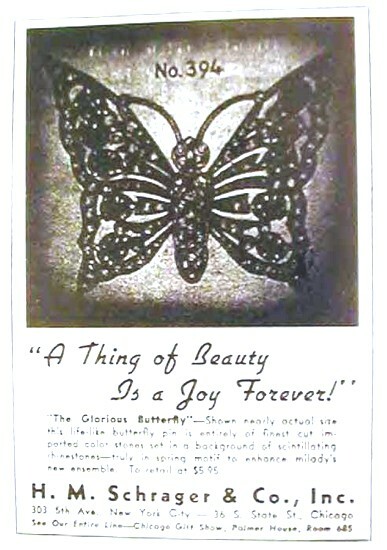 Click on the image to see the full ad image. 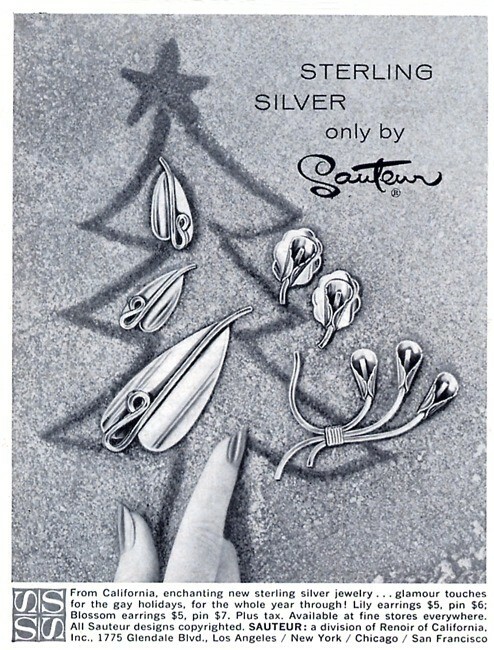 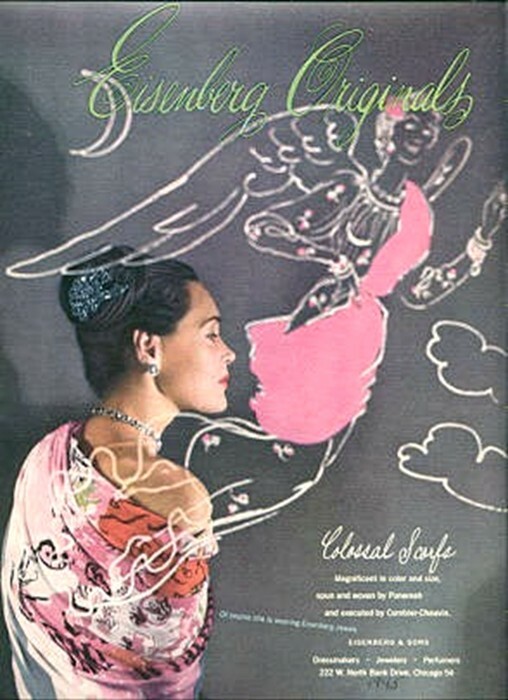 "Gleam of a bright Christmas"
Nymph of the sea 1954?